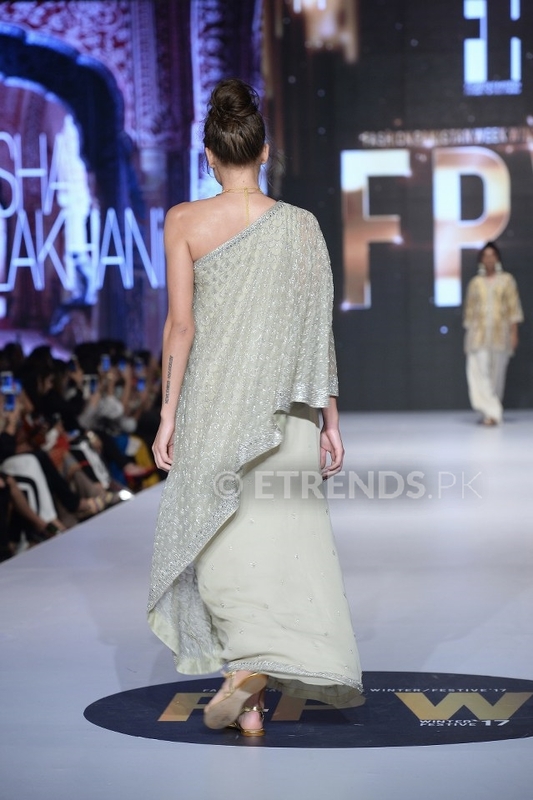 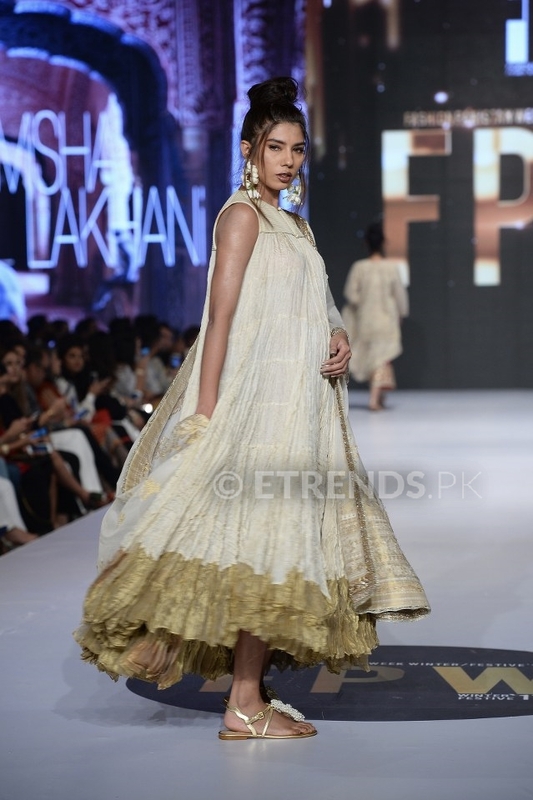 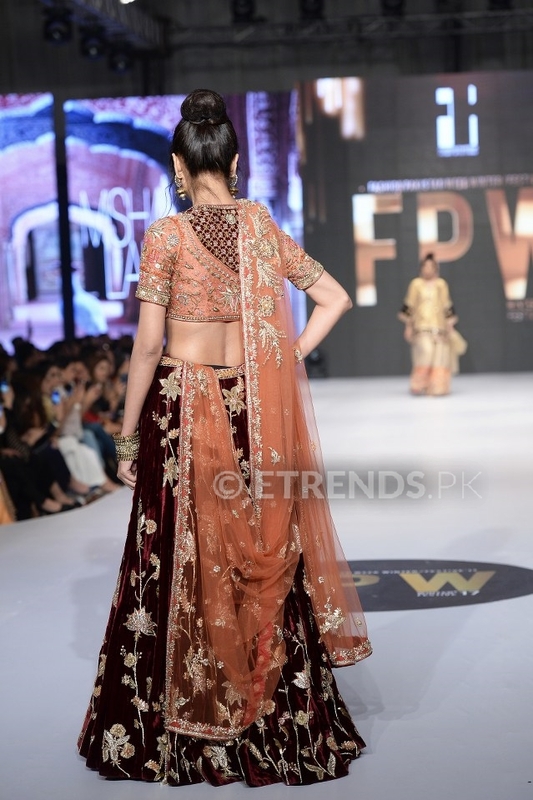 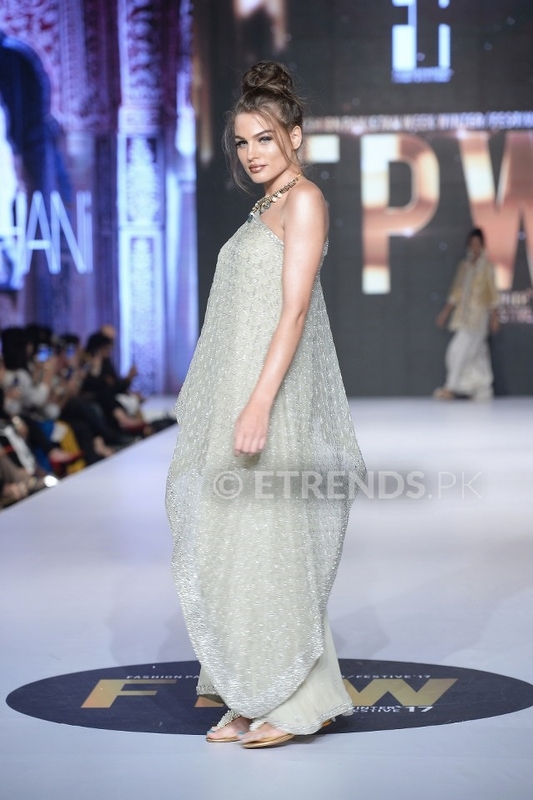 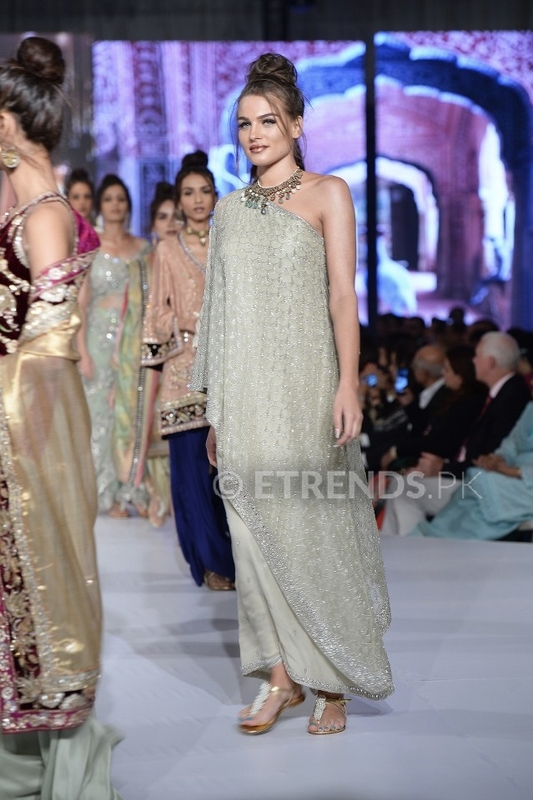 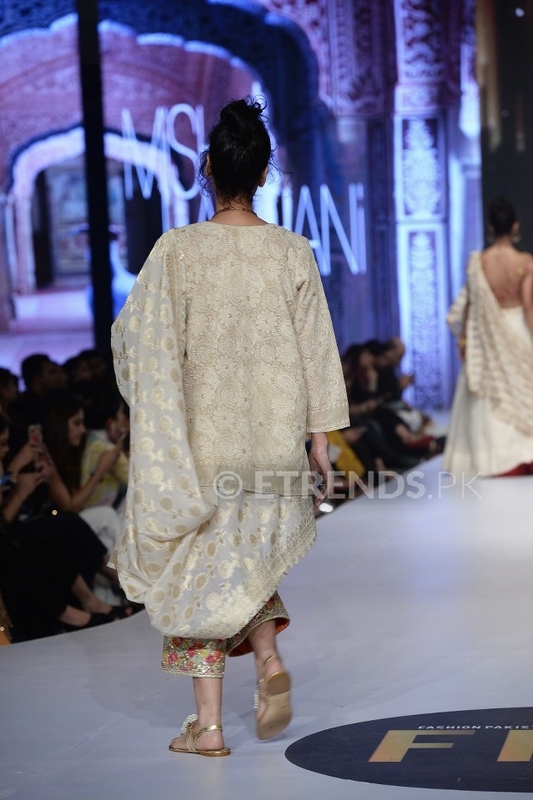 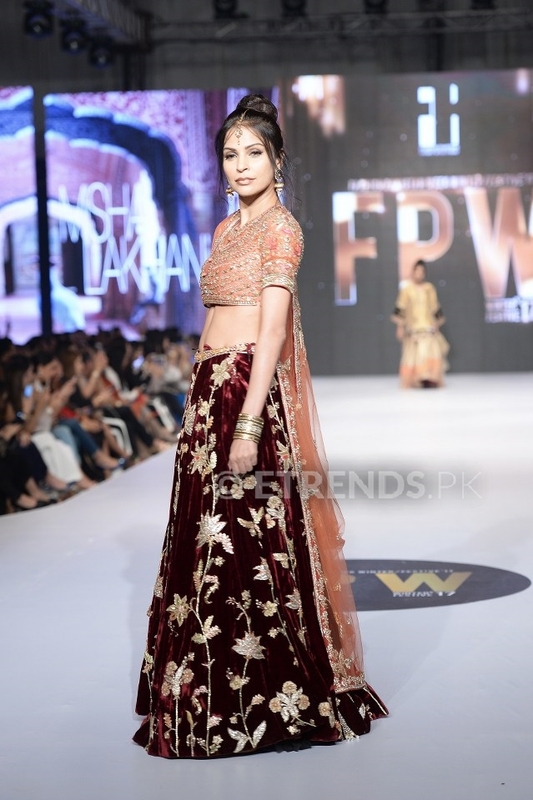 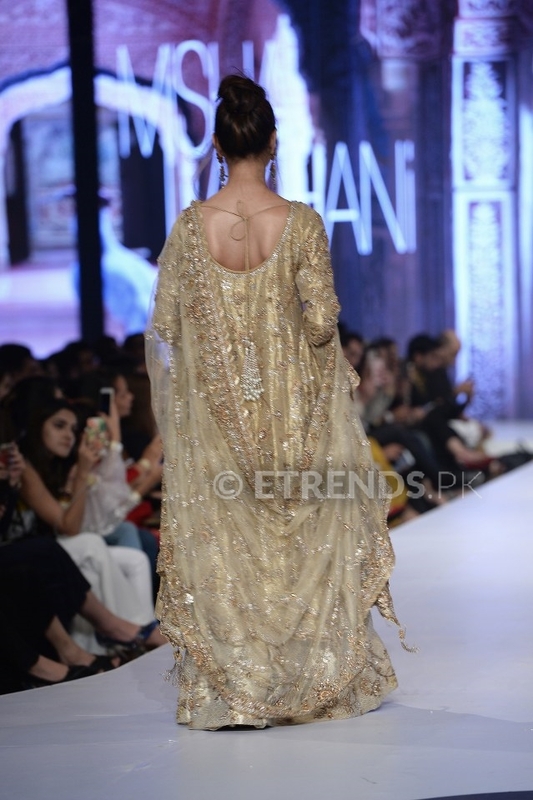 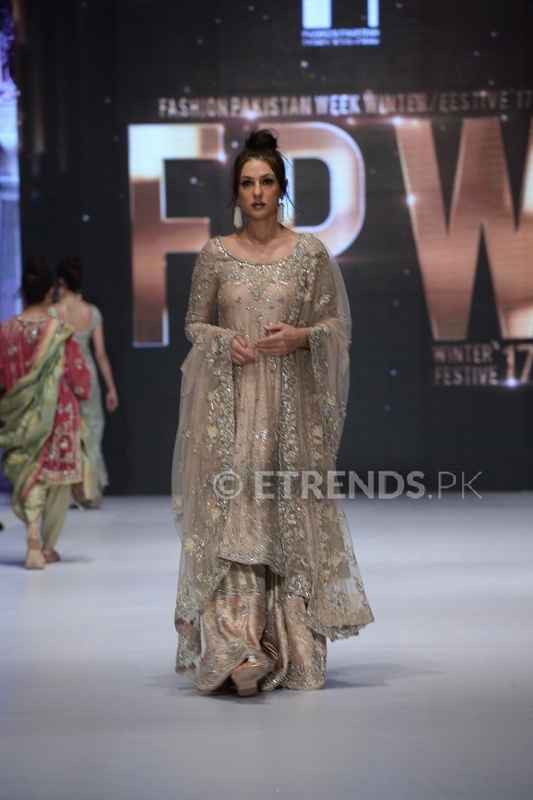 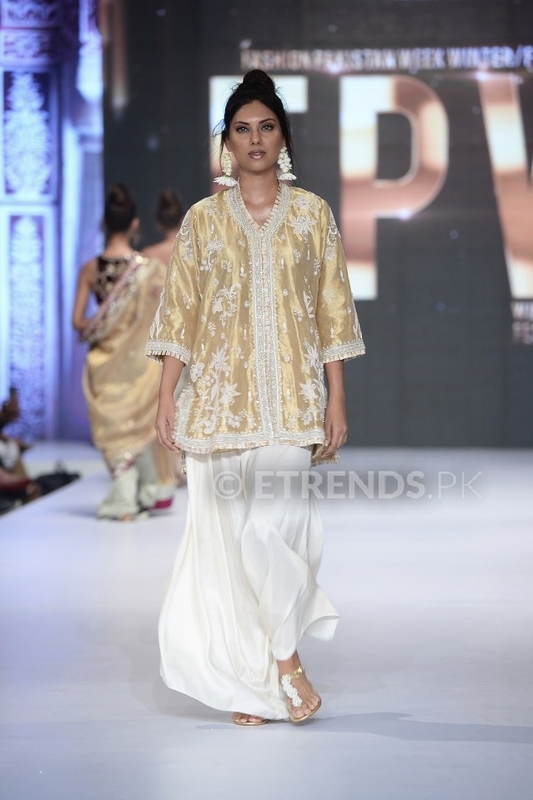 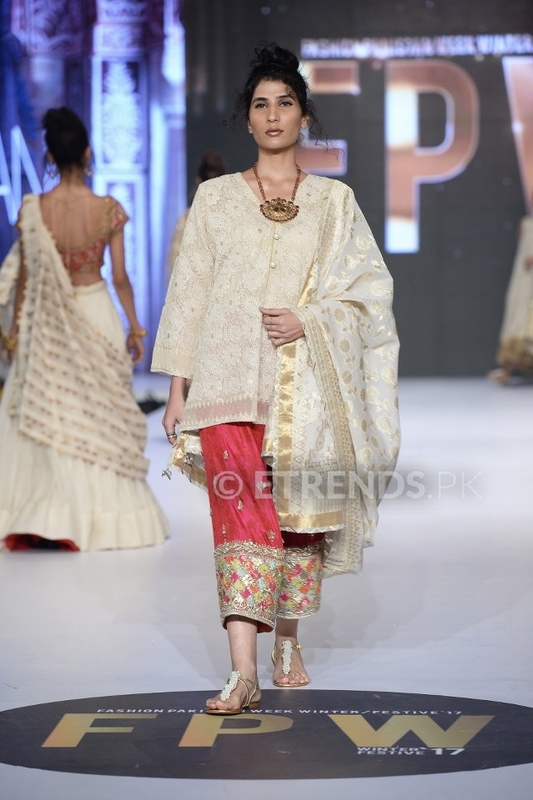 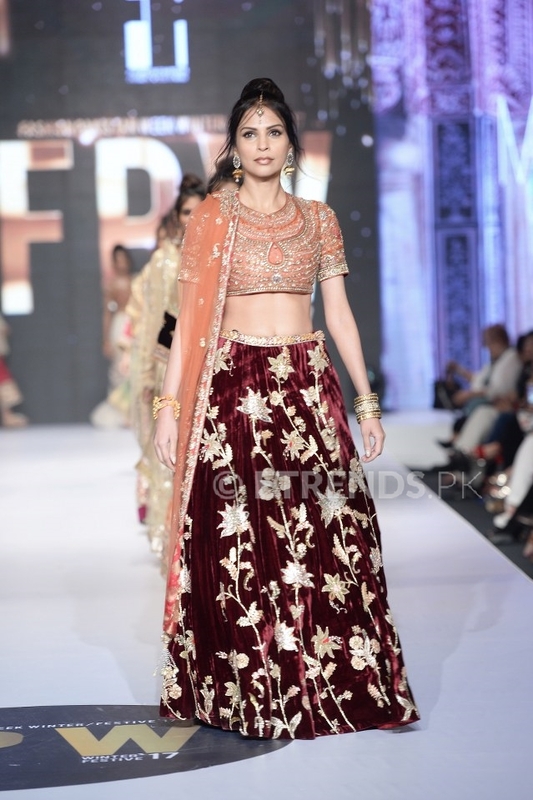 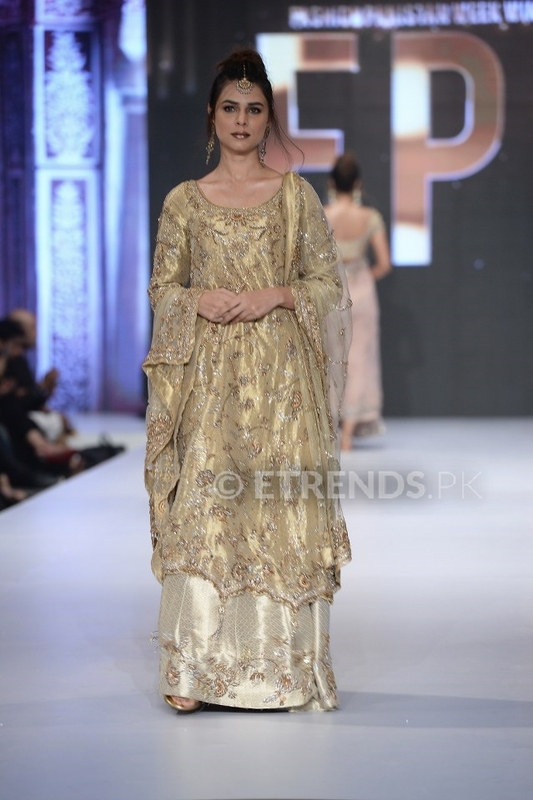 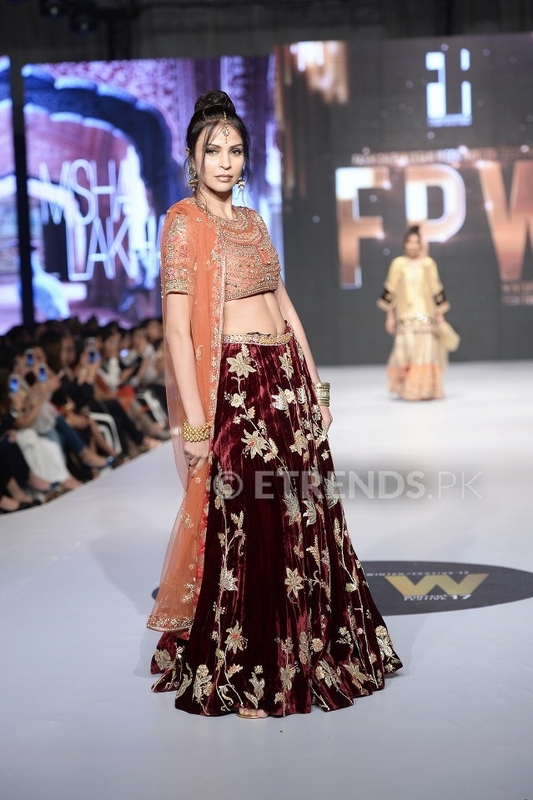 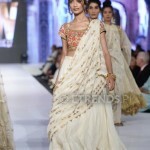 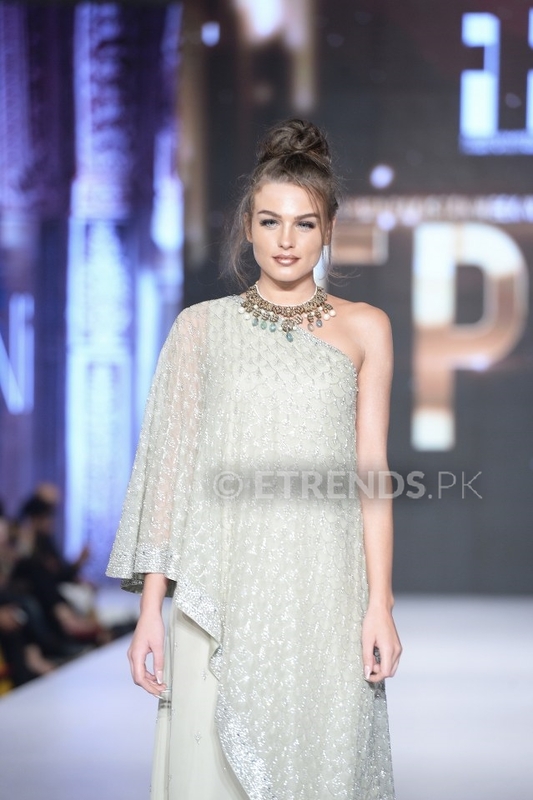 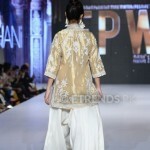 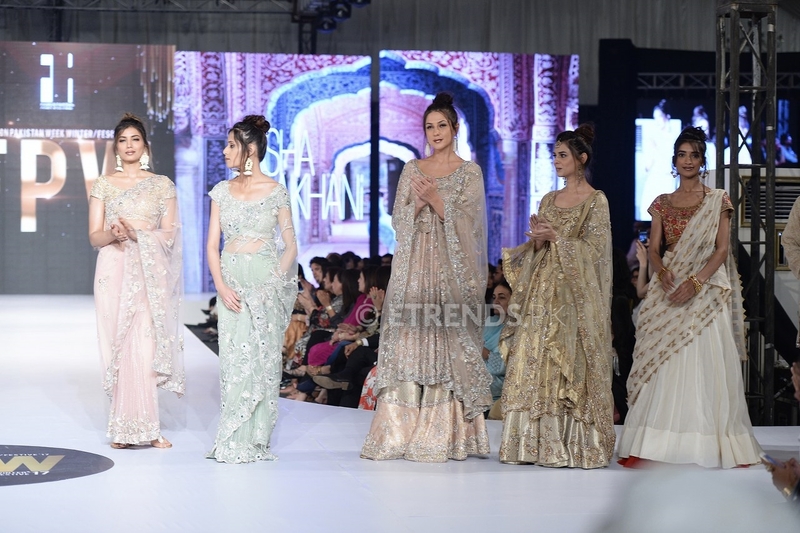 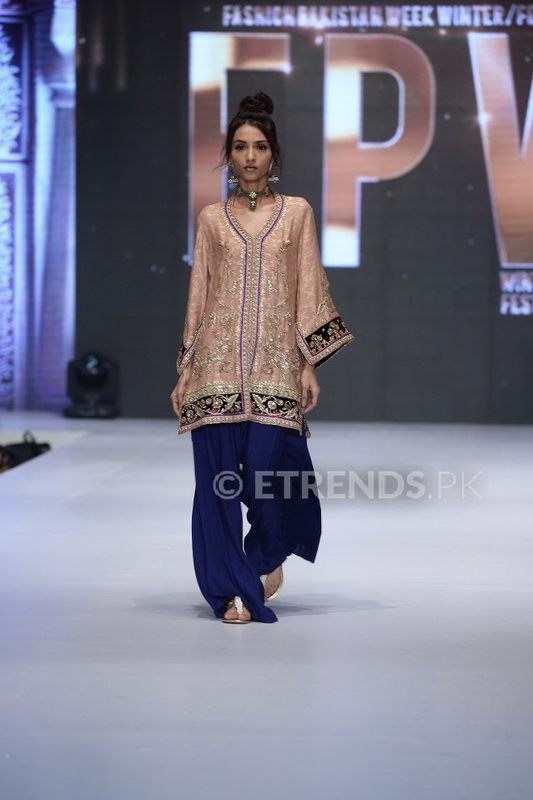 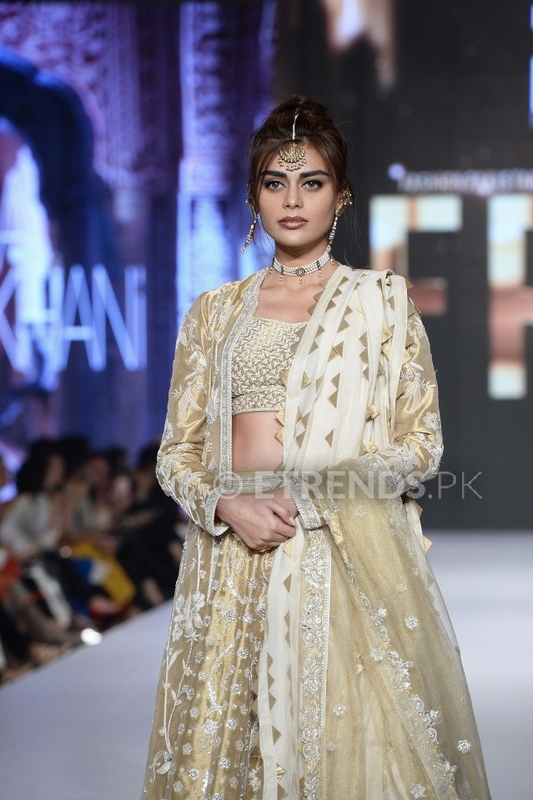 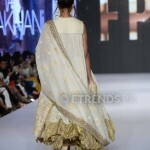 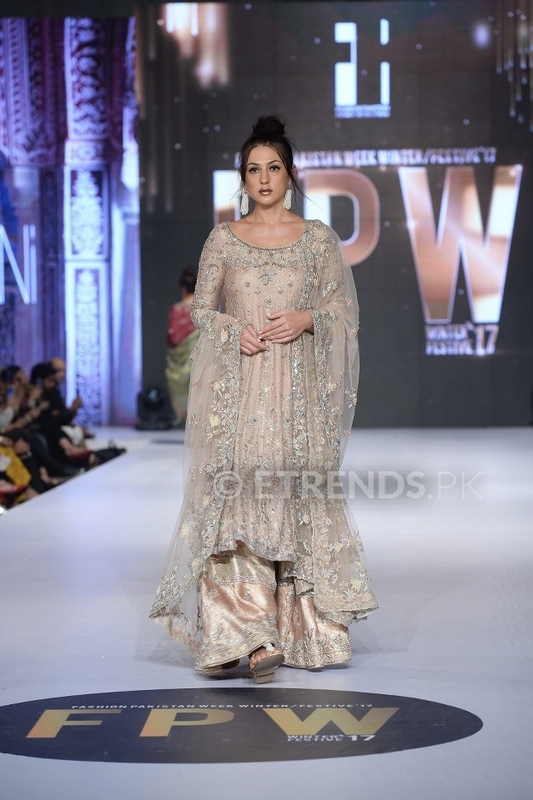 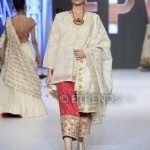 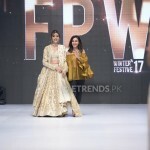 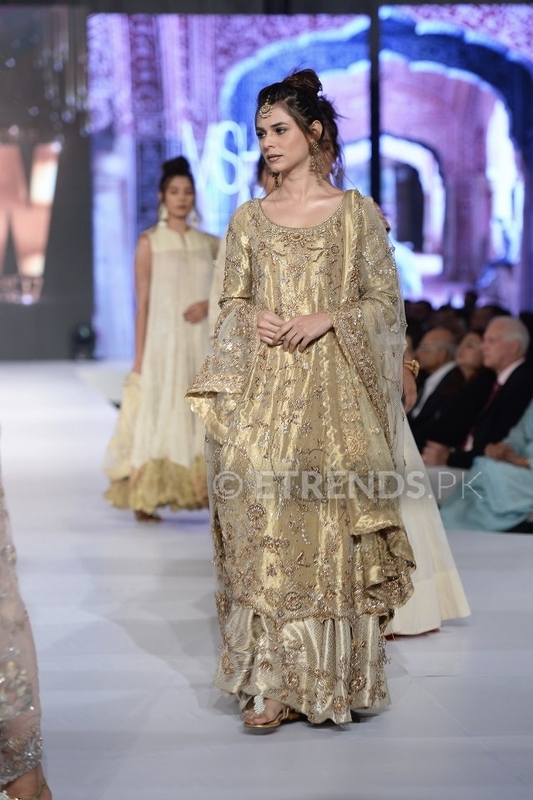 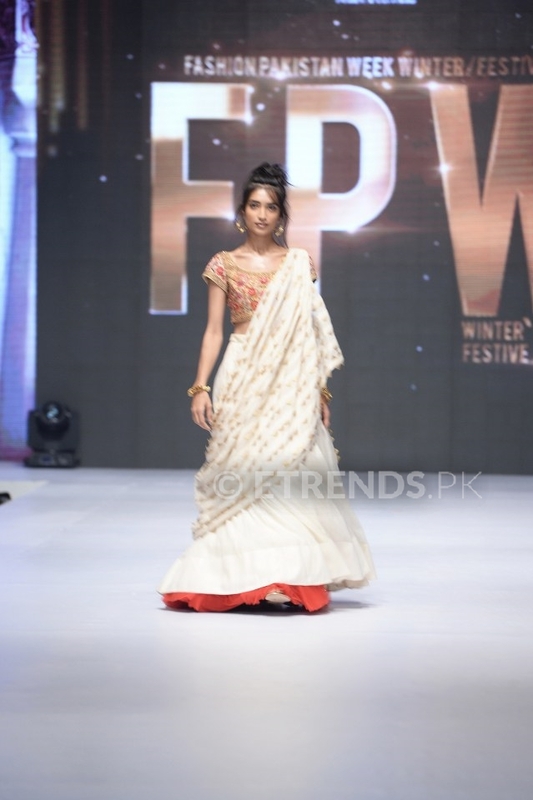 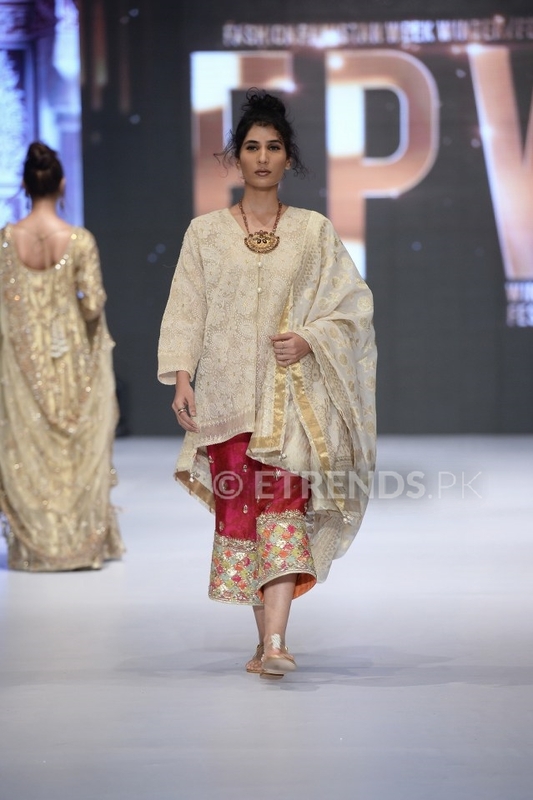 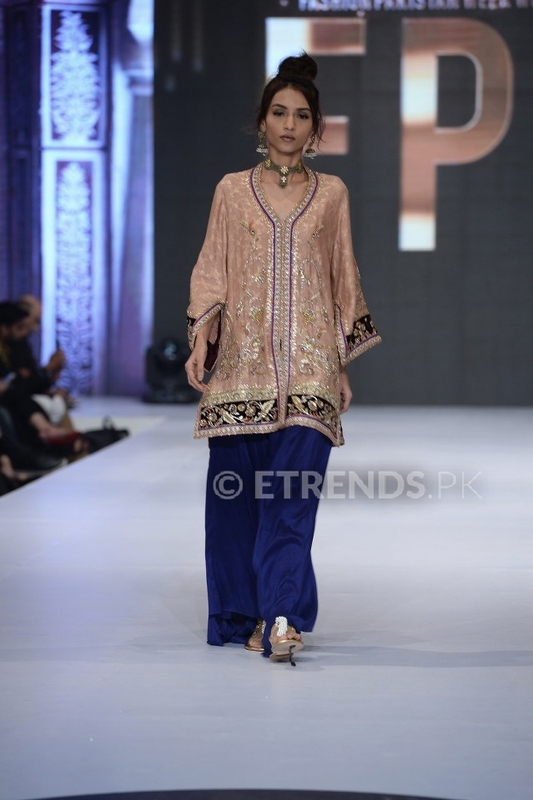 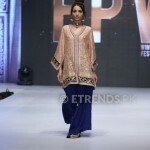 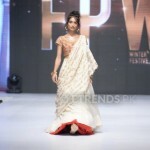 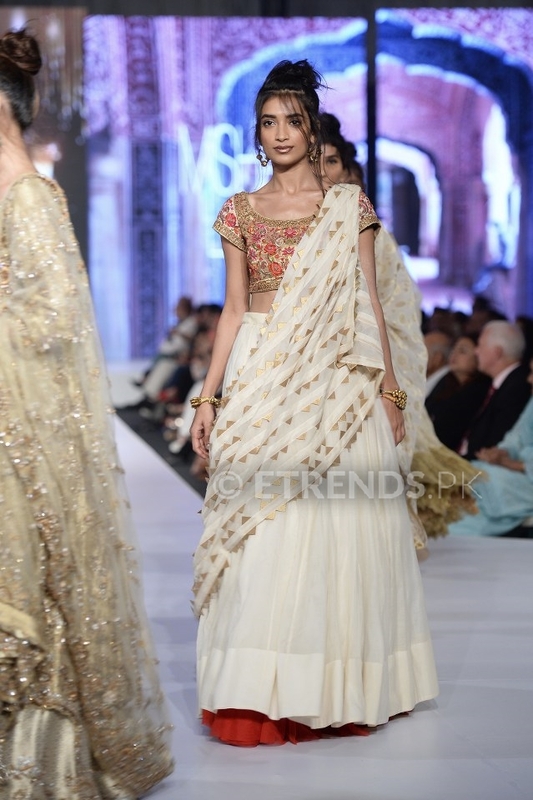 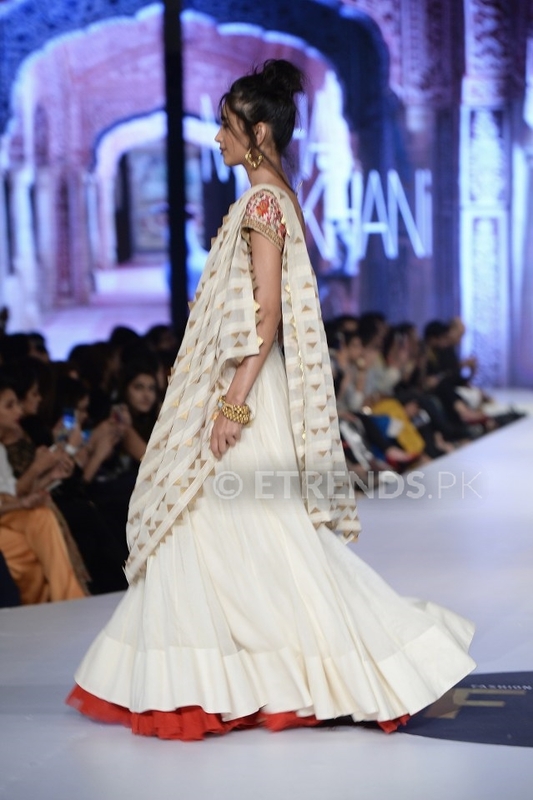 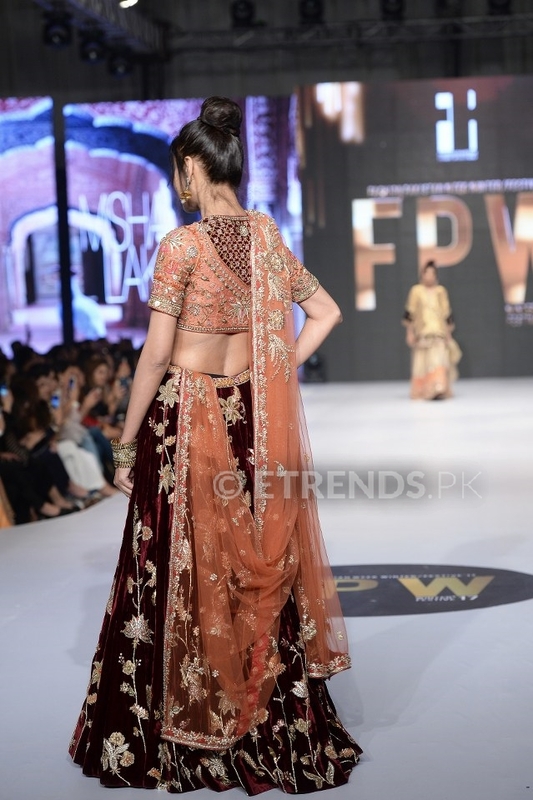 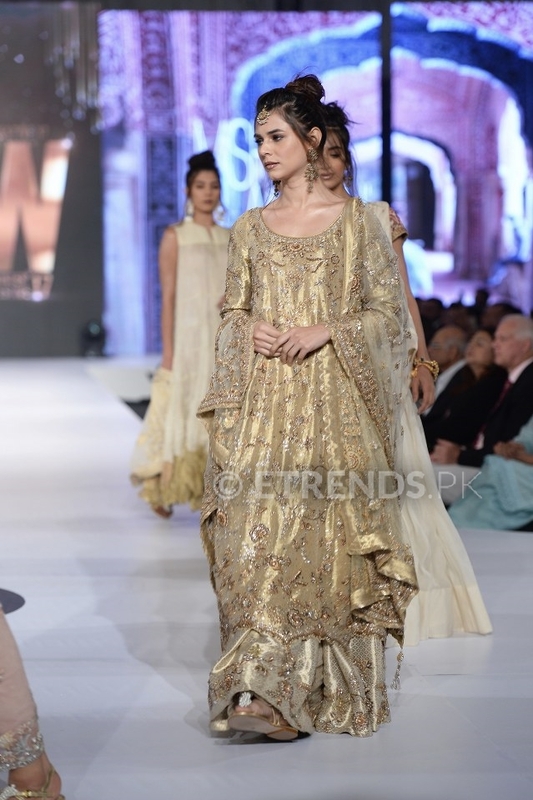 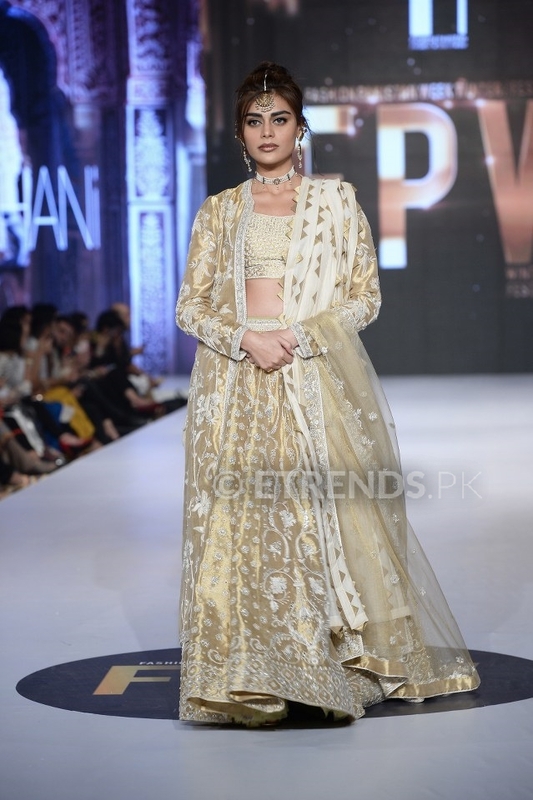 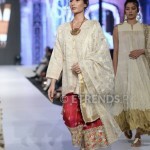 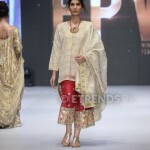 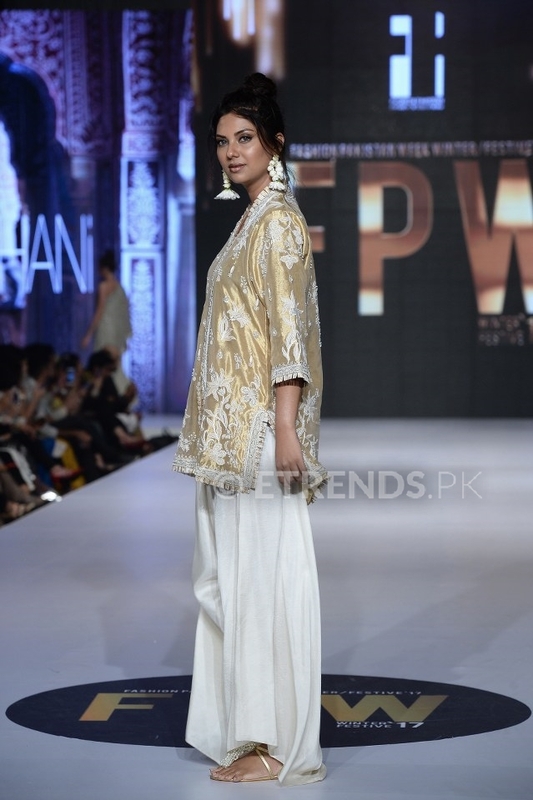 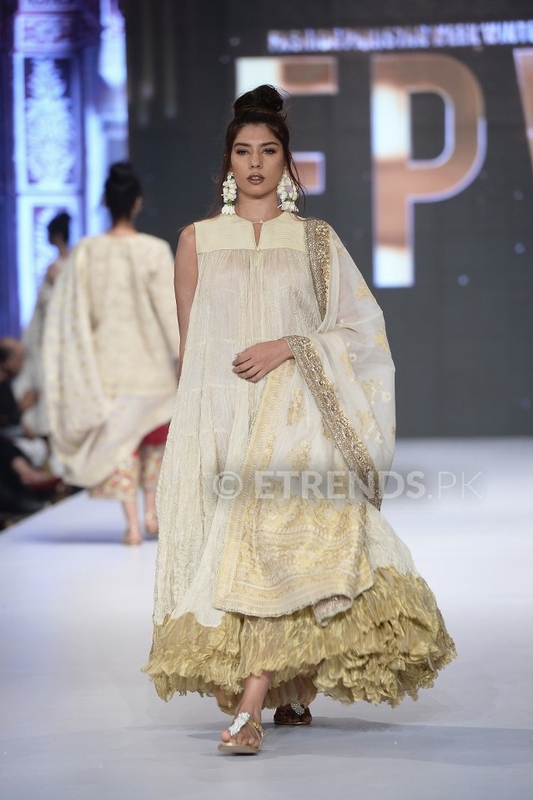 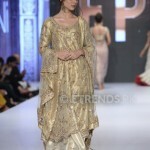 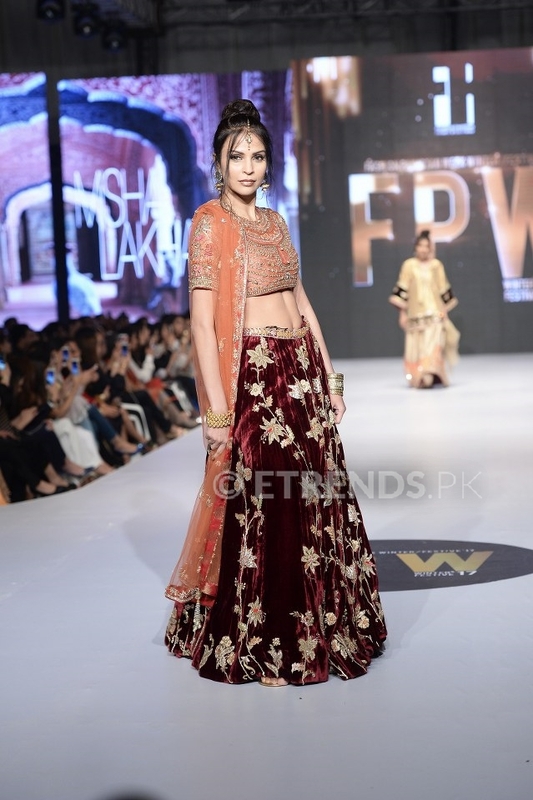 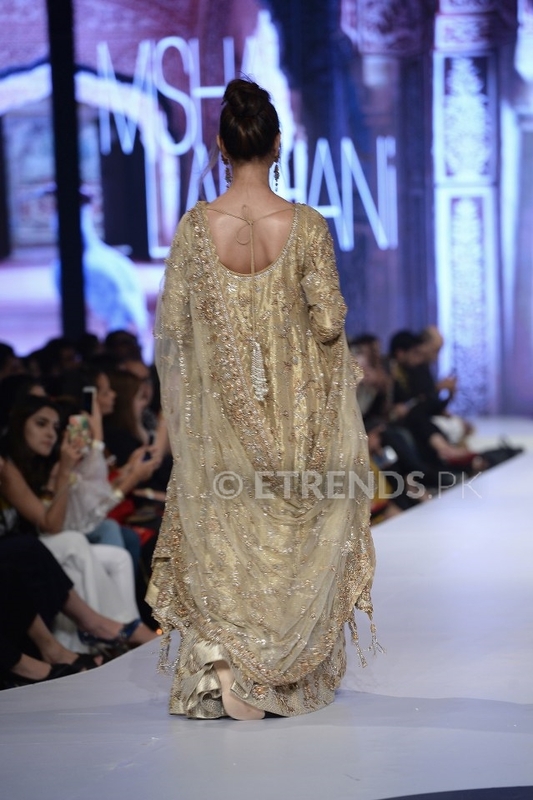 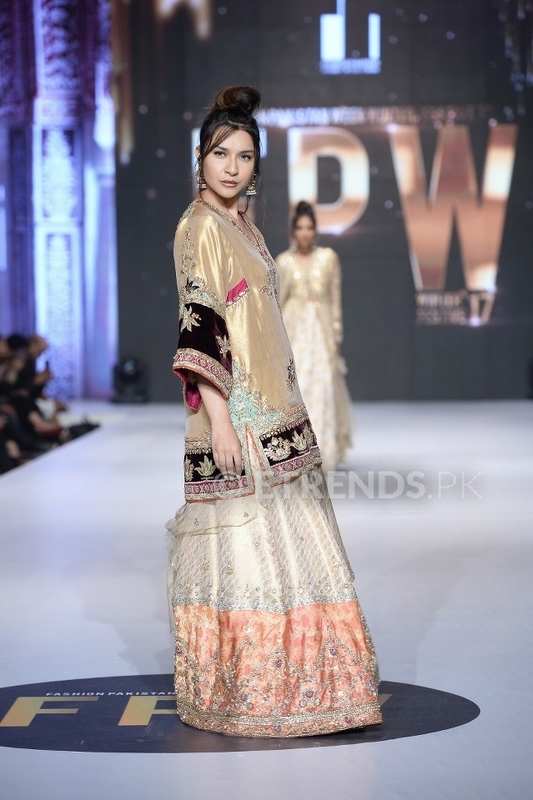 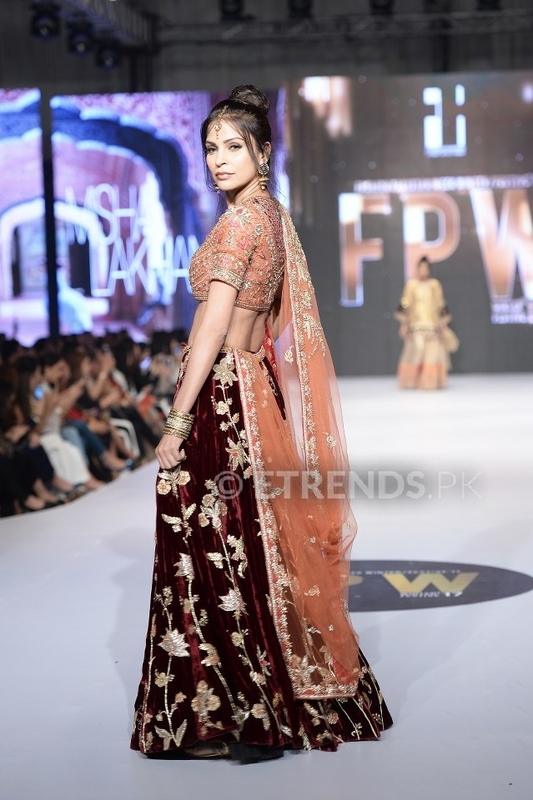 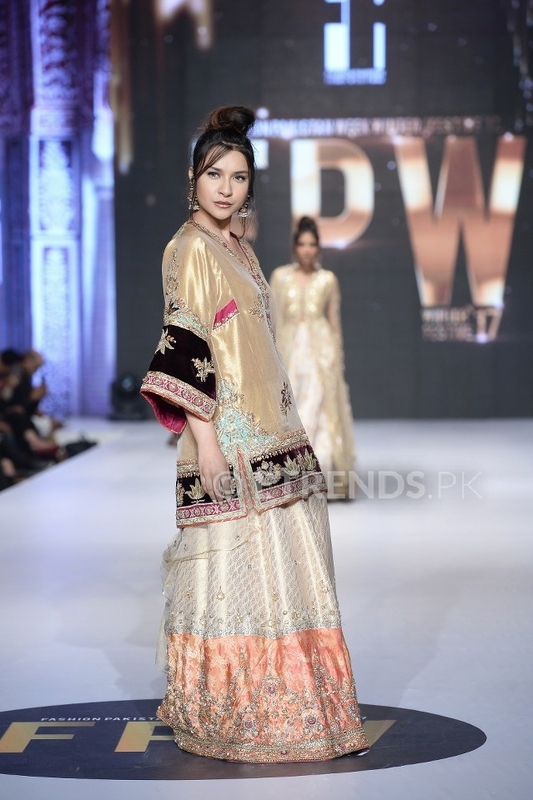 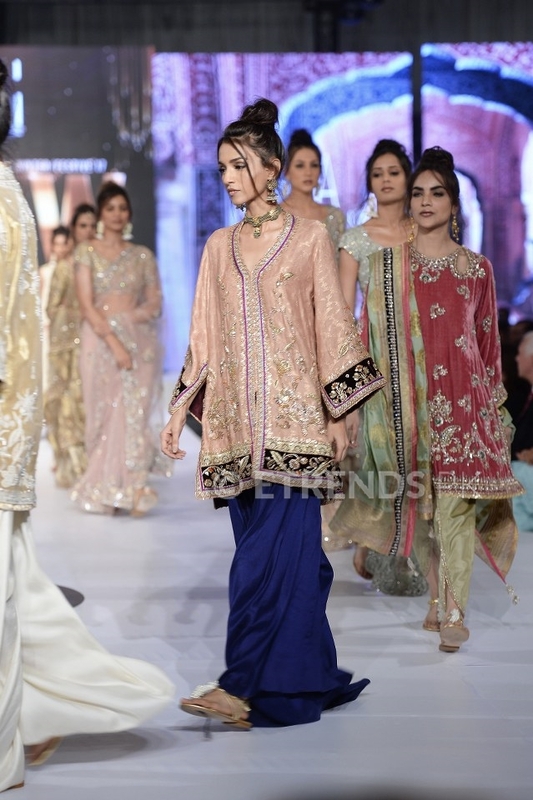 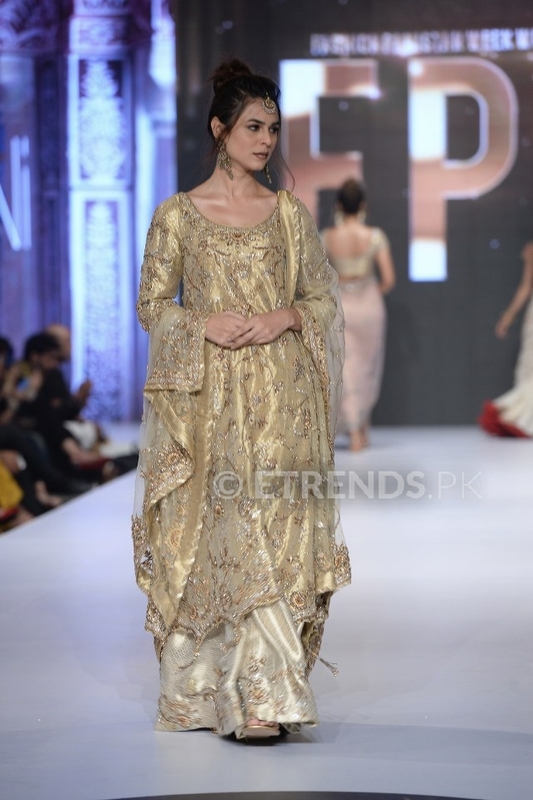 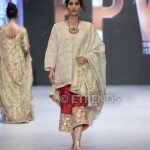 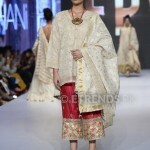 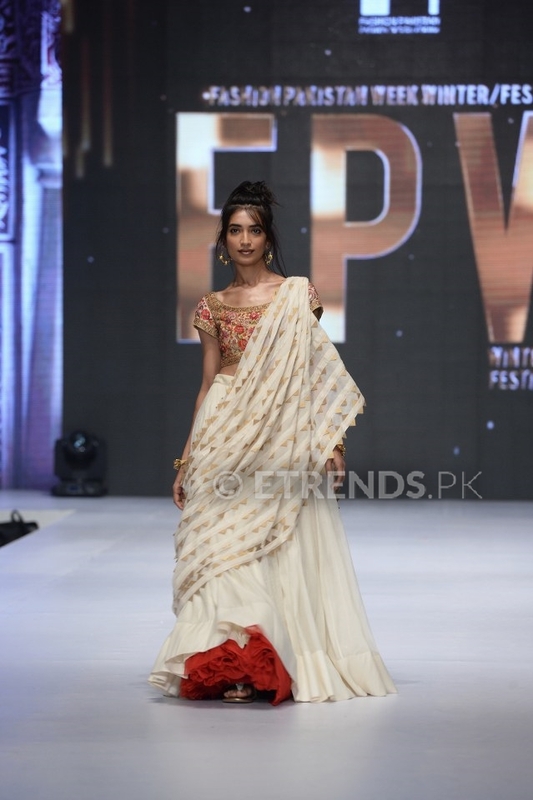 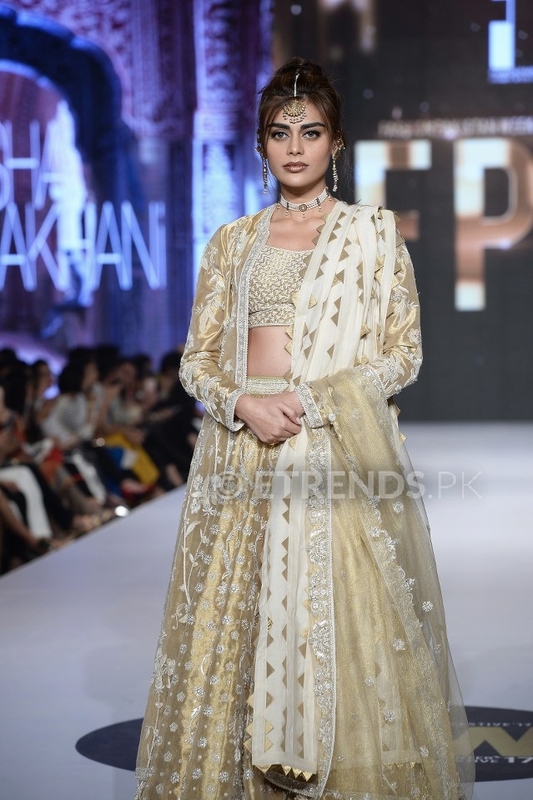 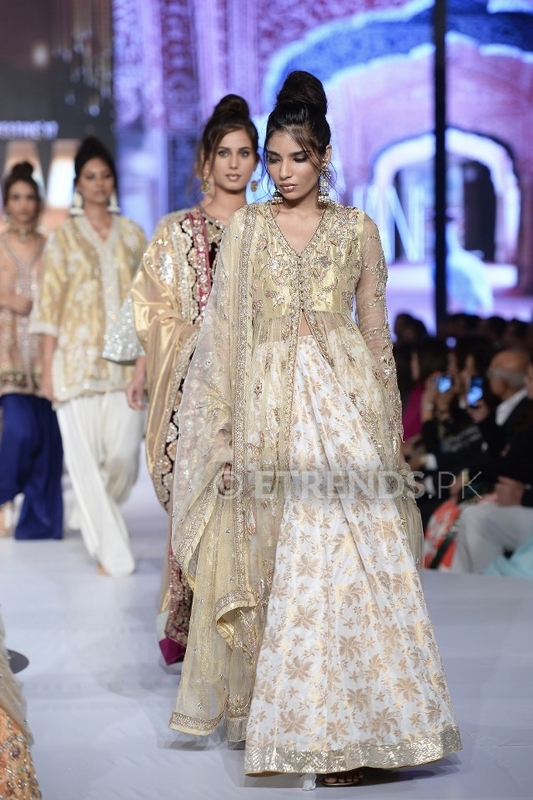 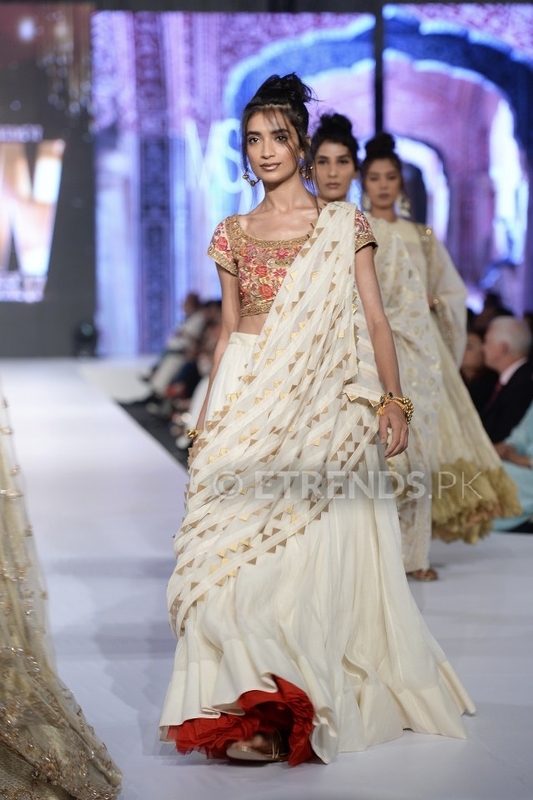 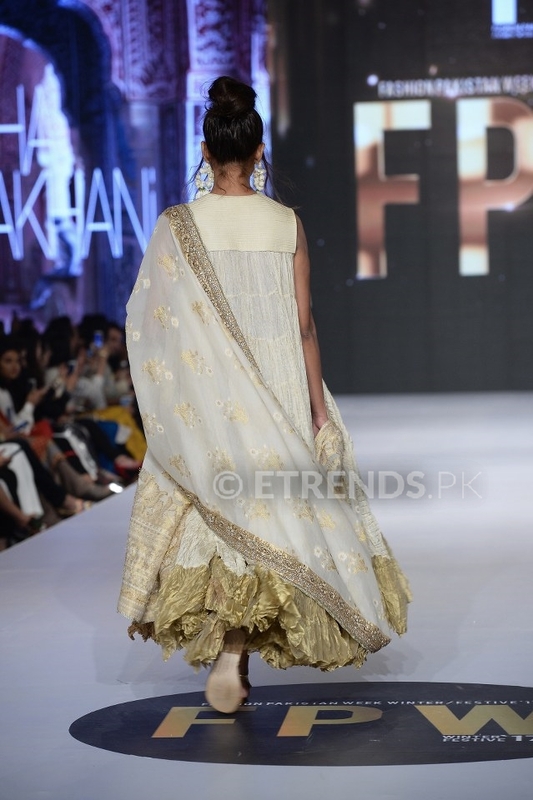 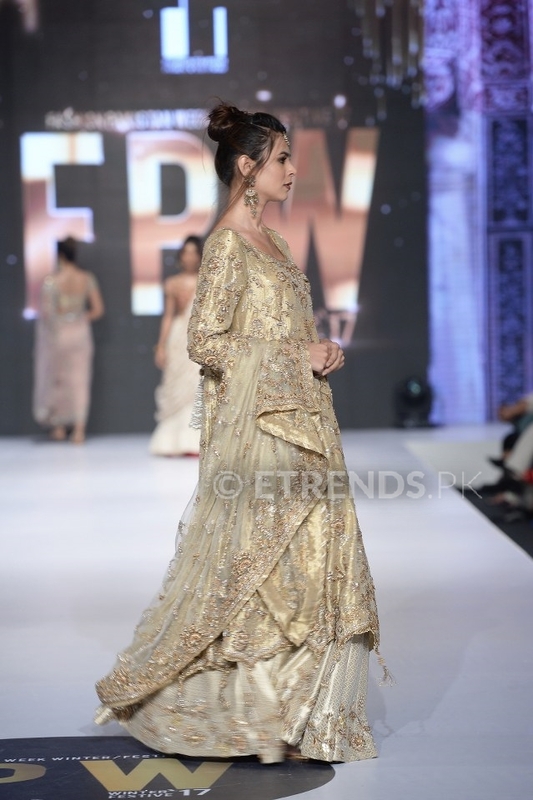 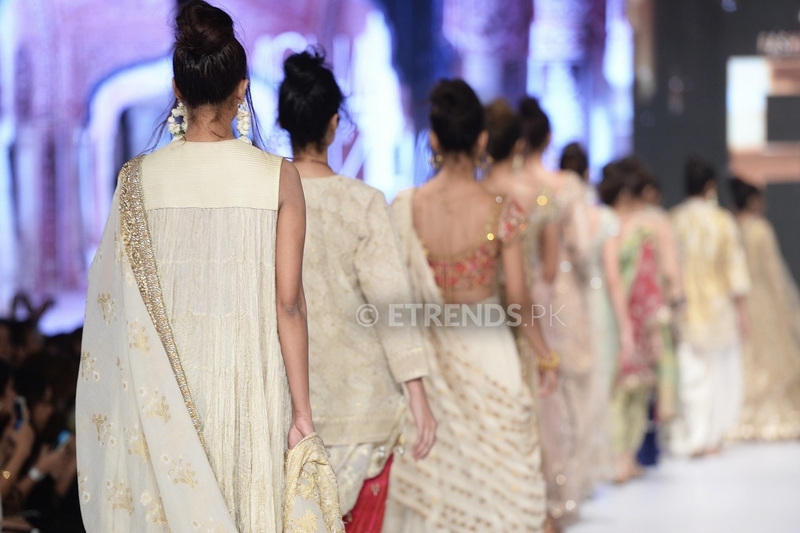 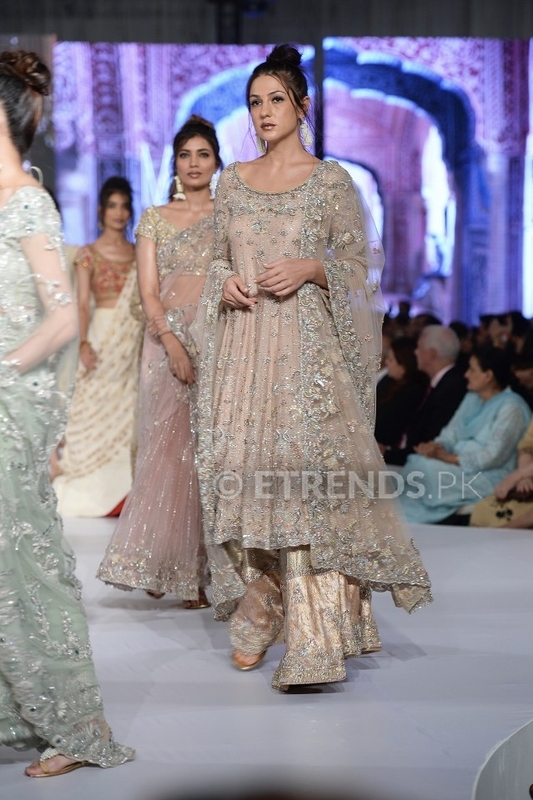 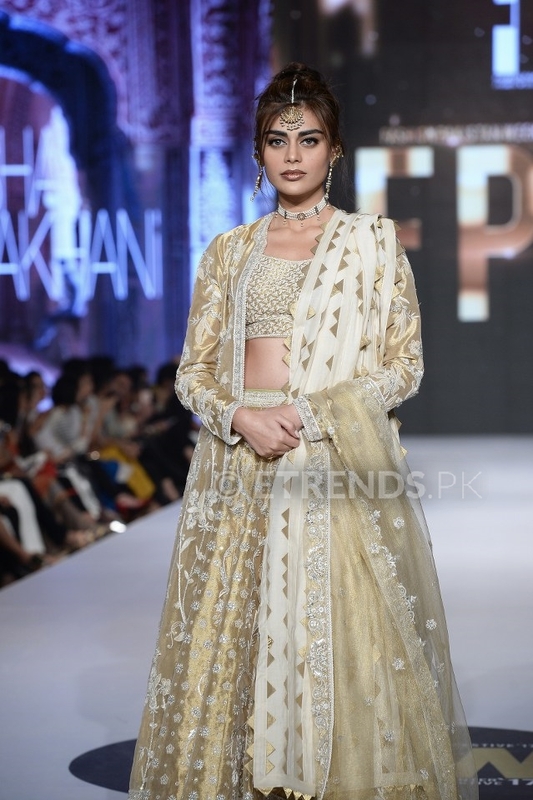 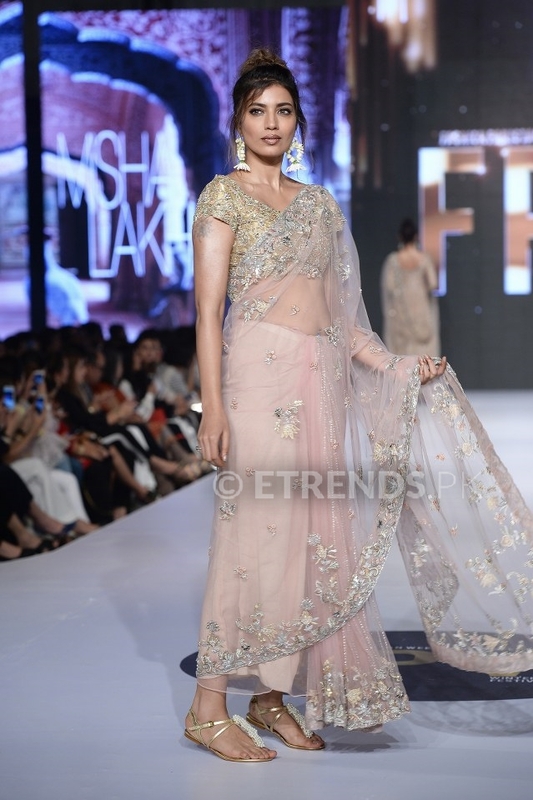 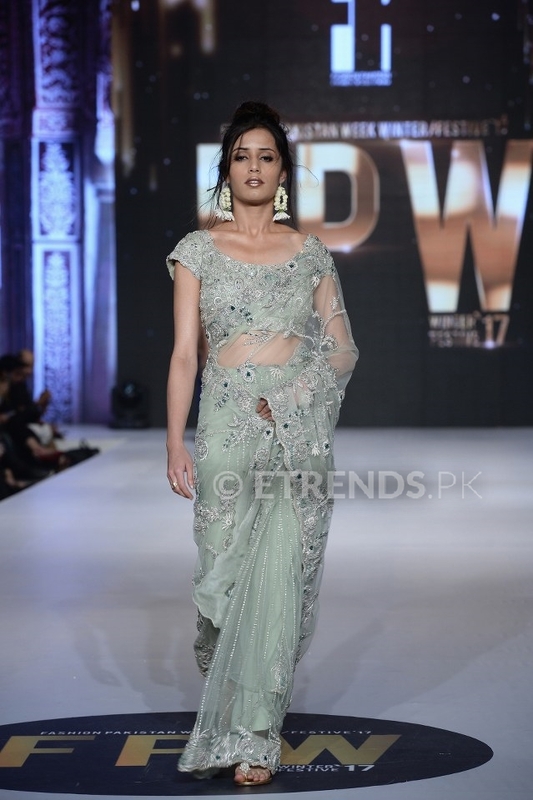 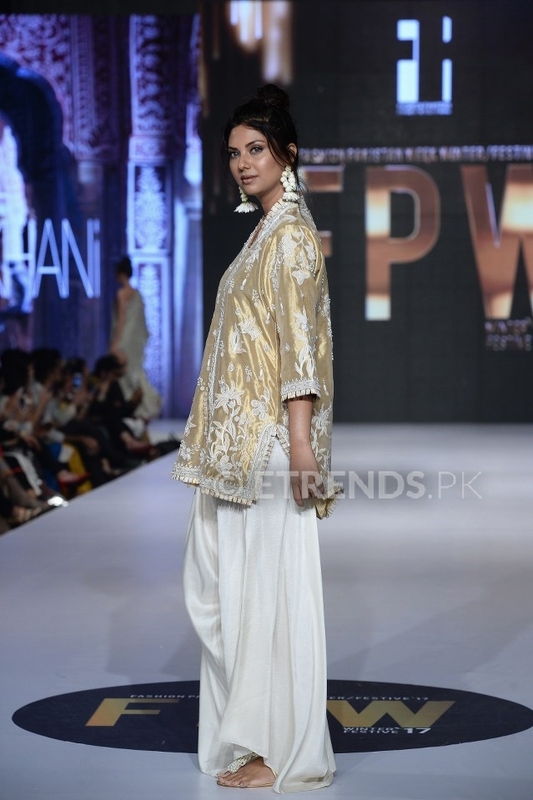 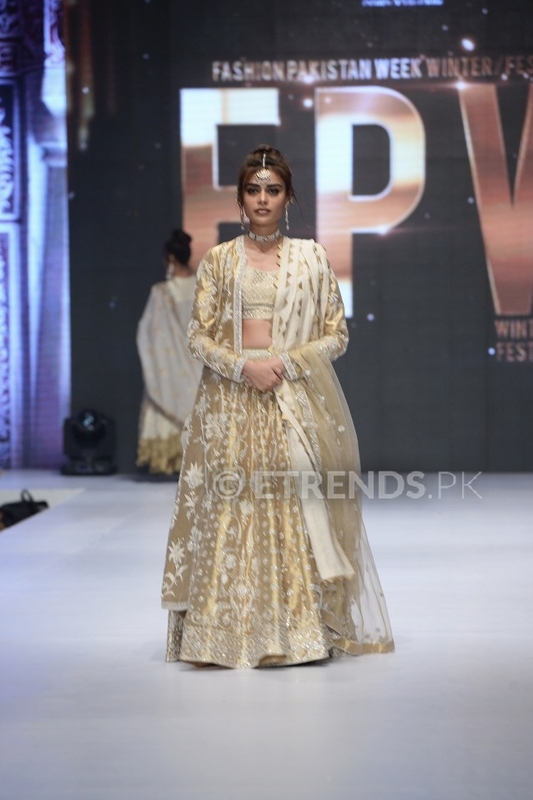 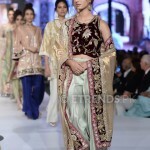 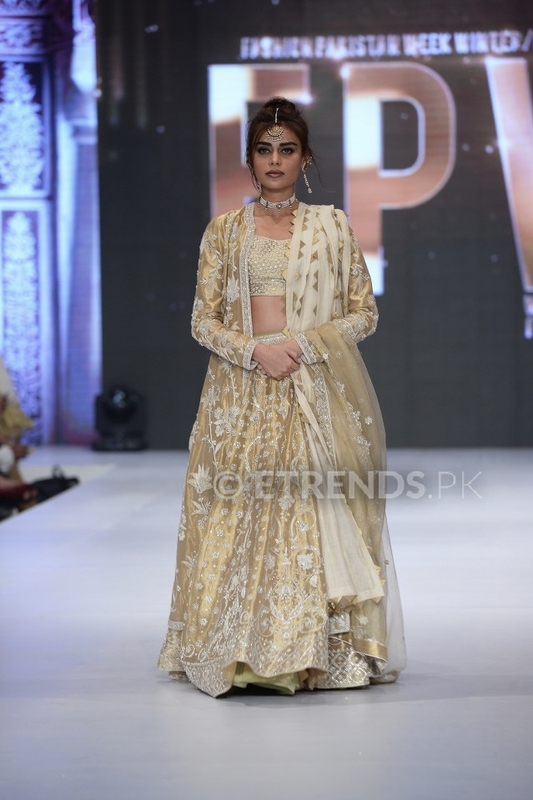 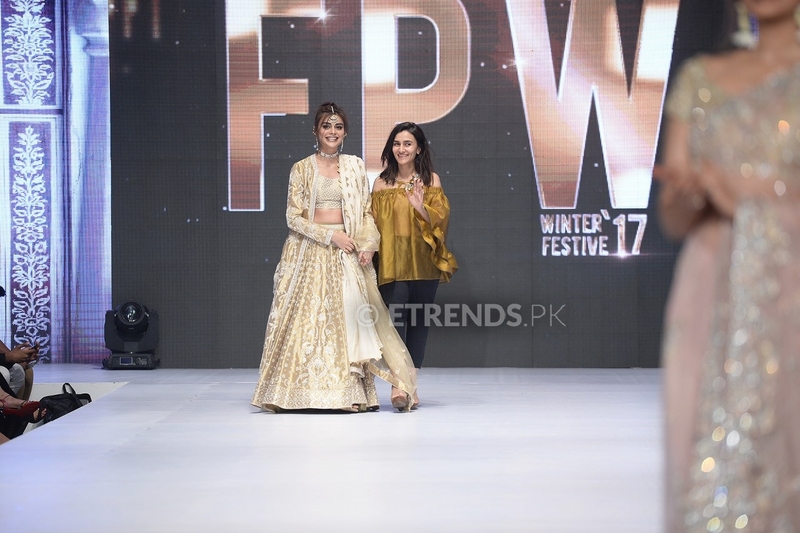 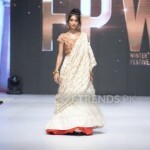 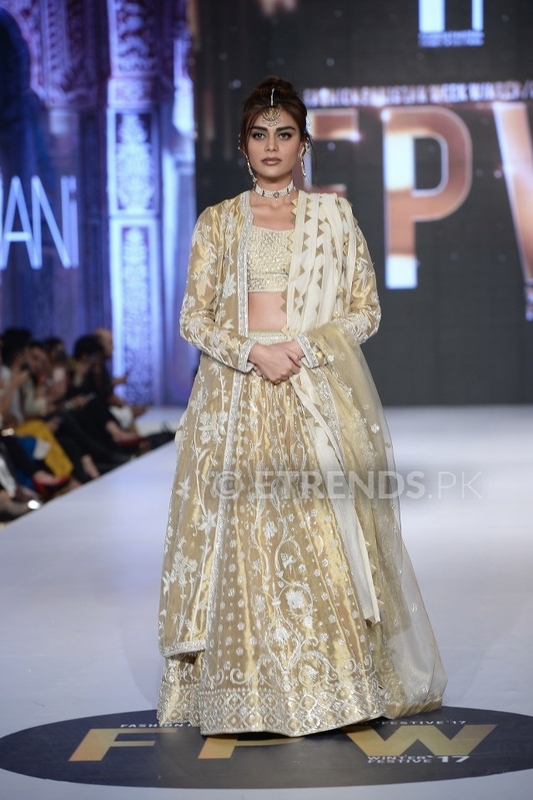 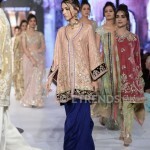 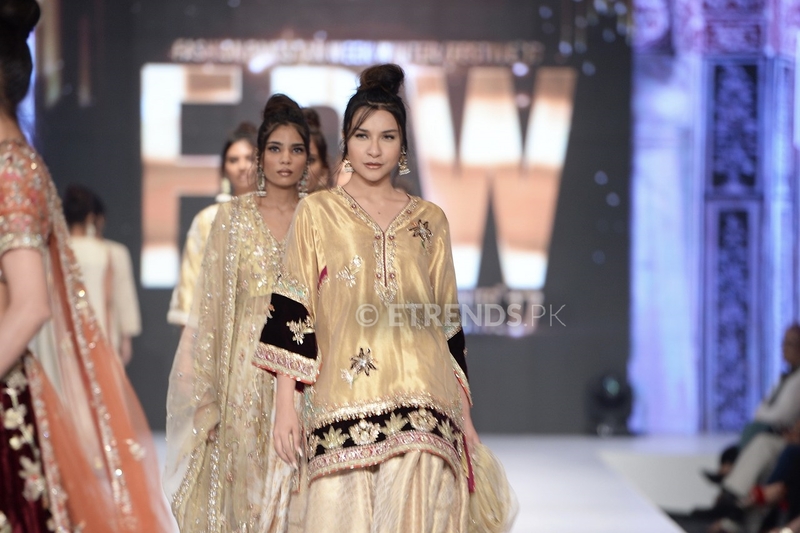 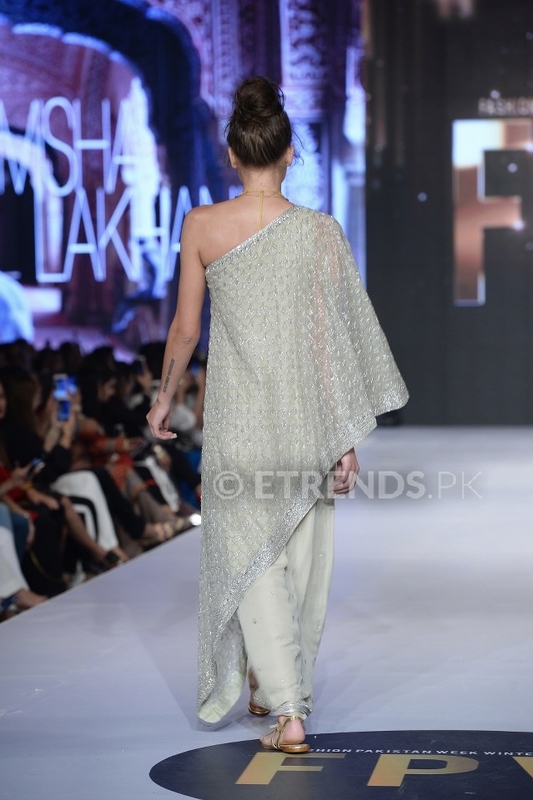 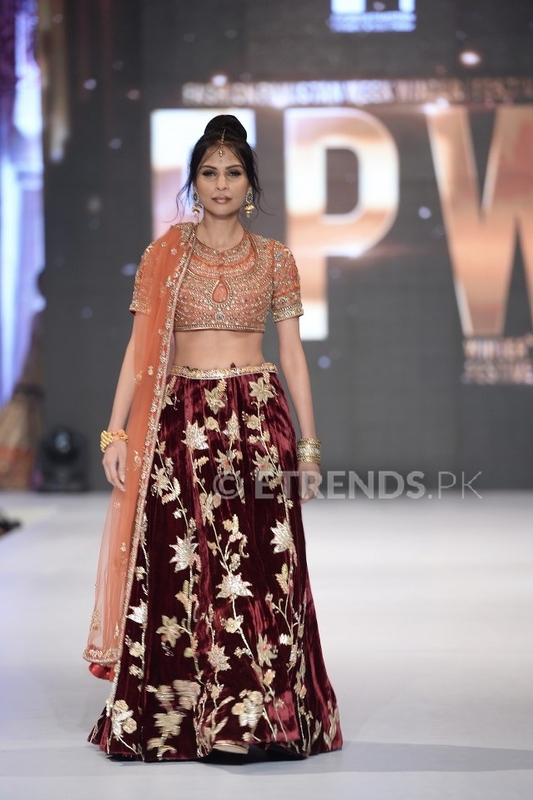 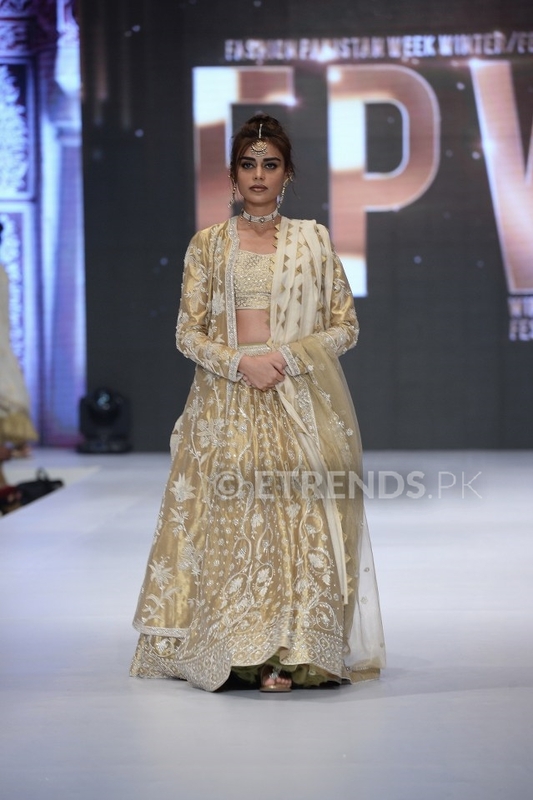 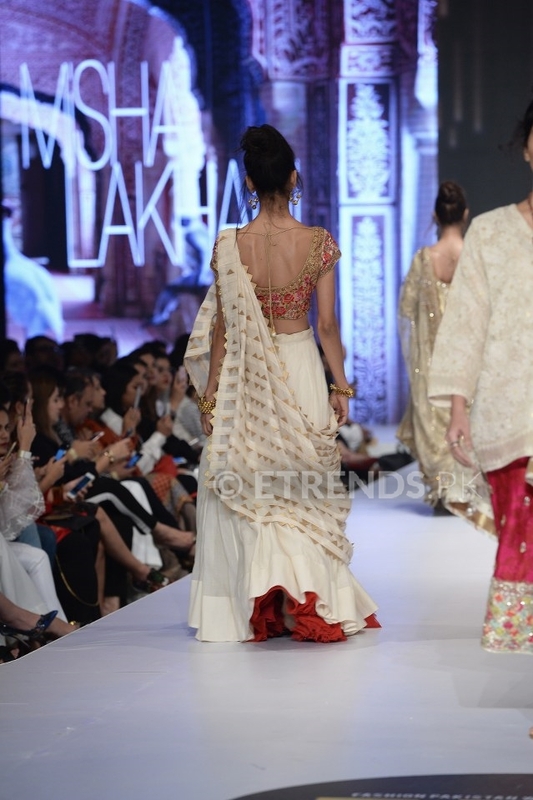 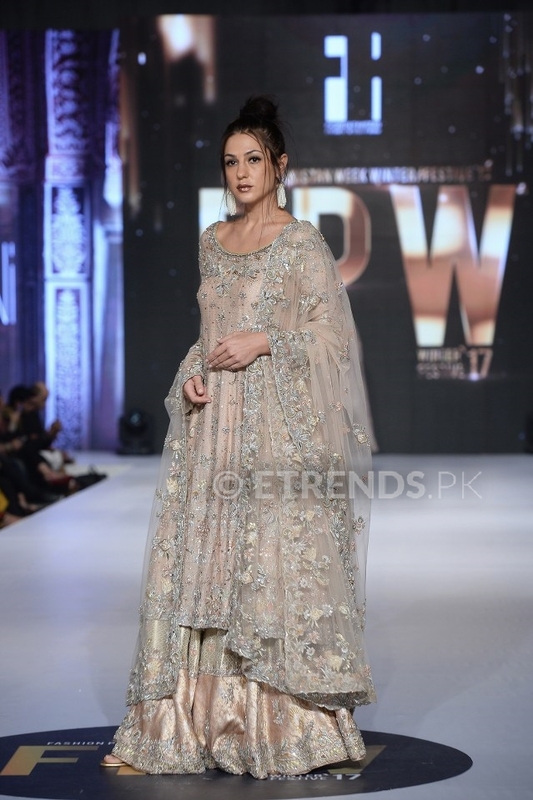 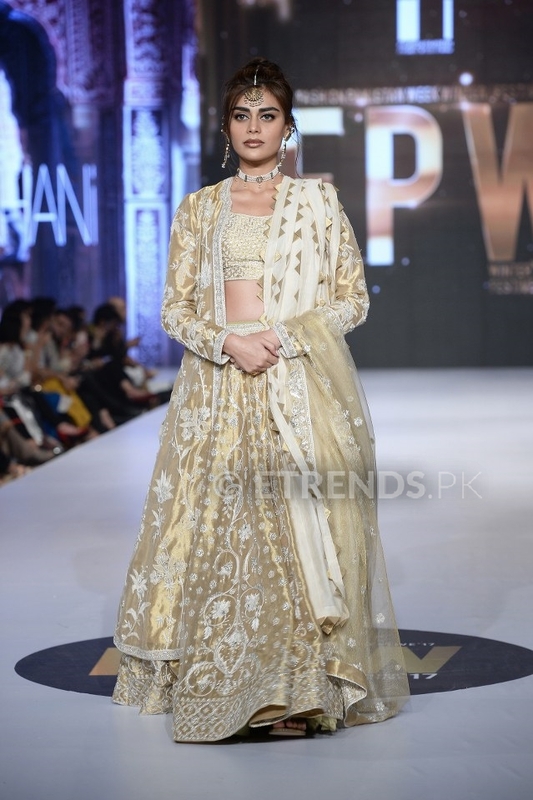 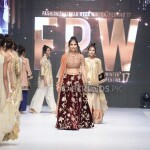 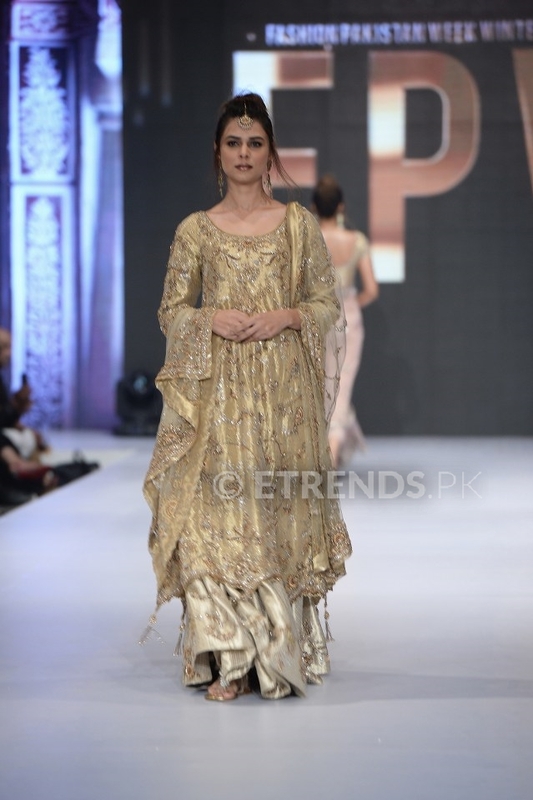 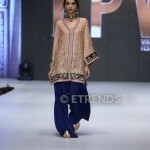 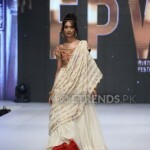 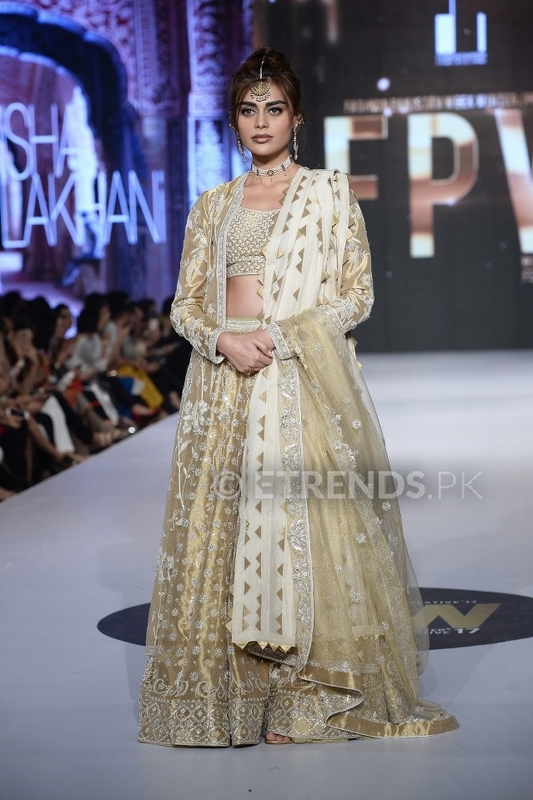 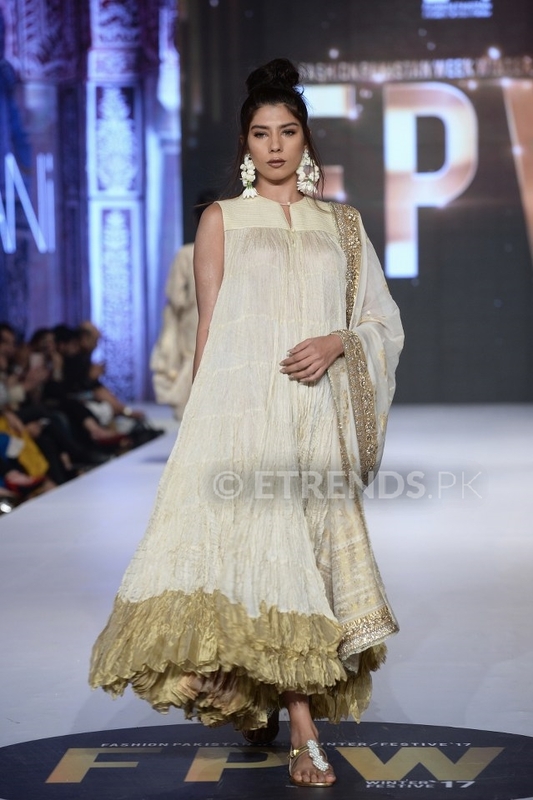 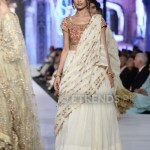 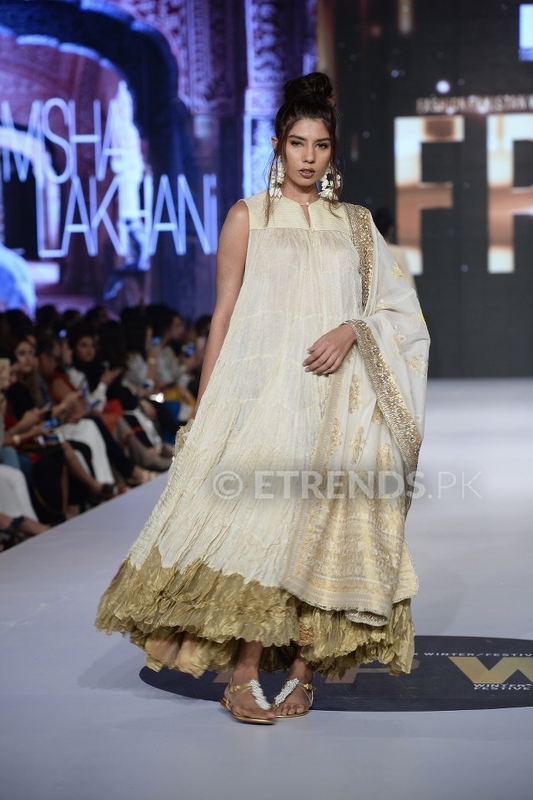 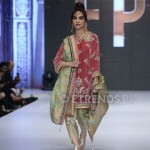 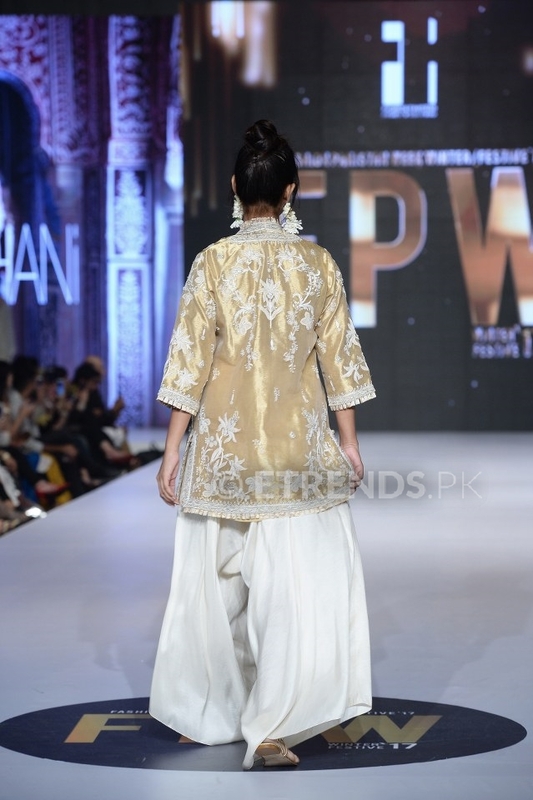 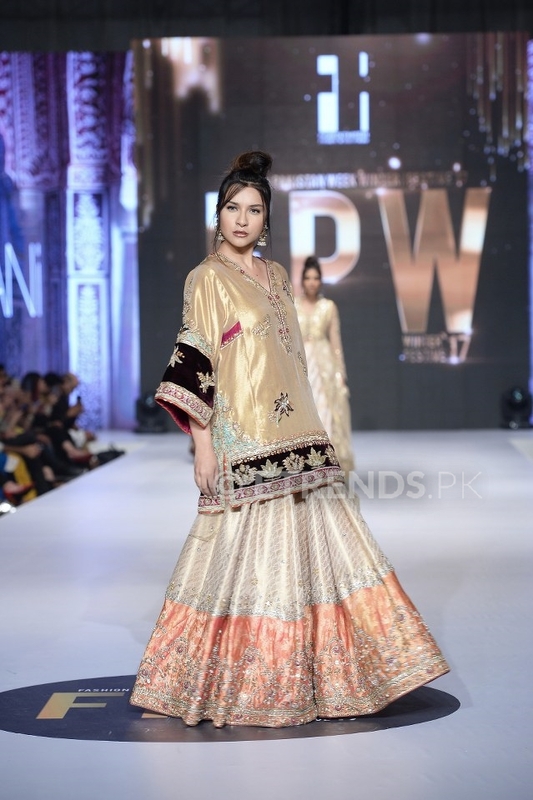 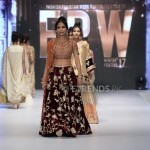 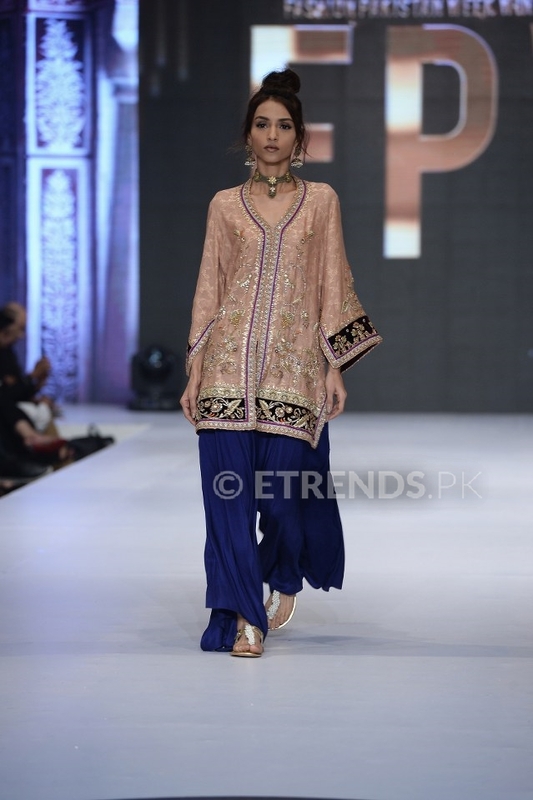 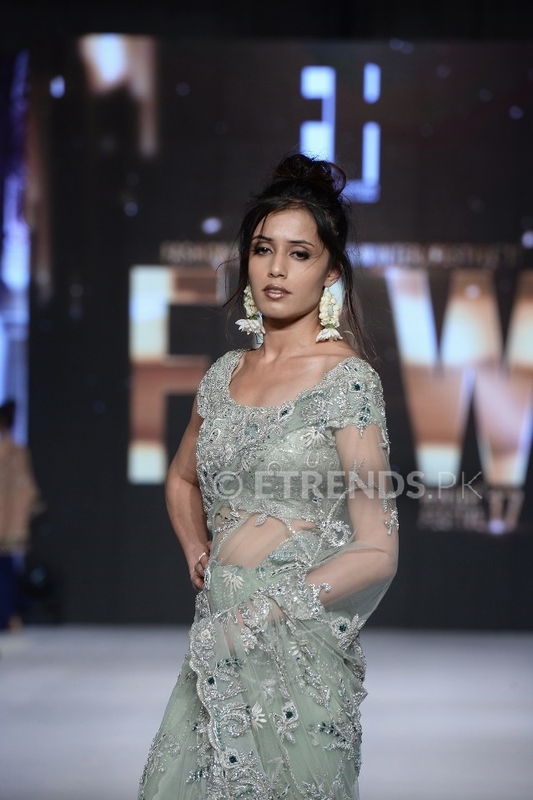 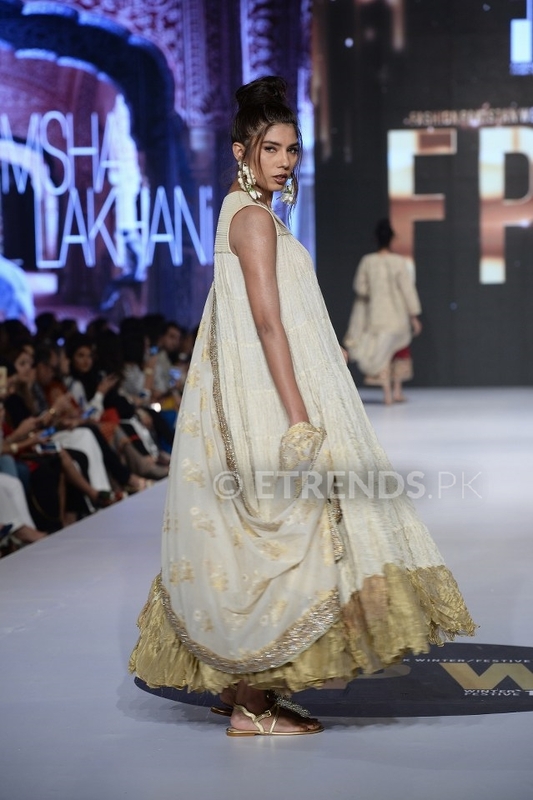 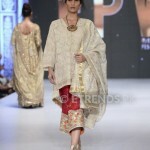 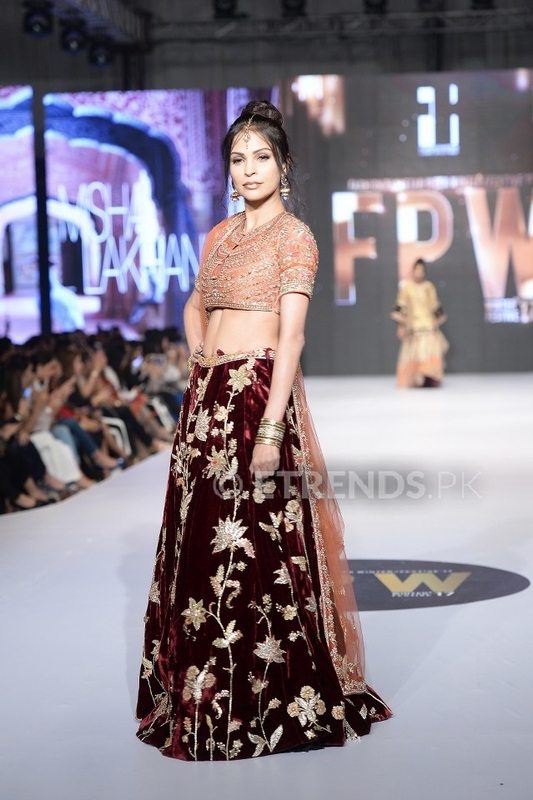 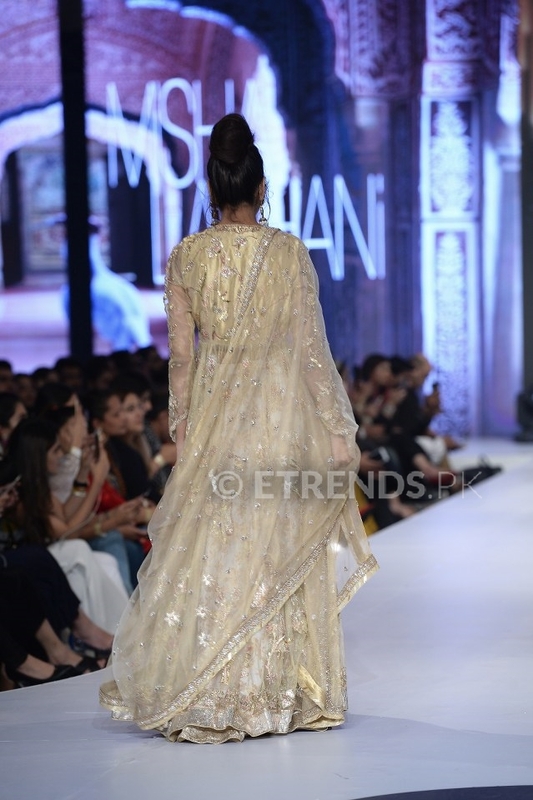 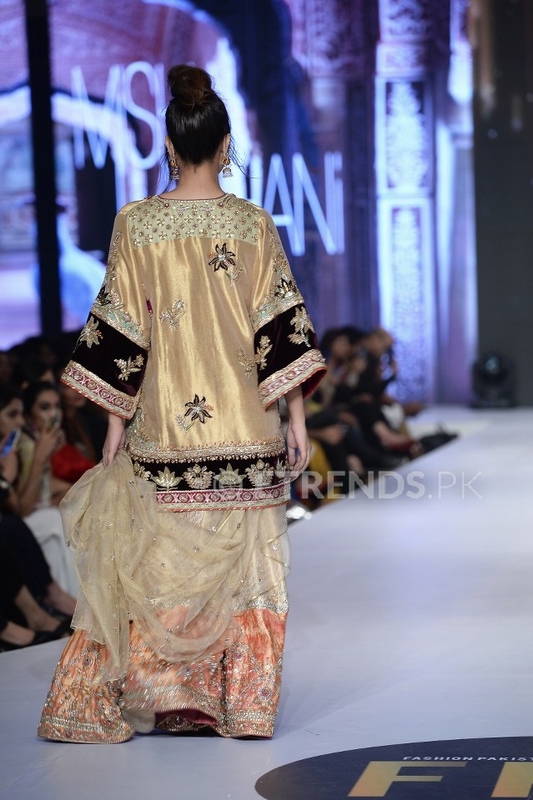 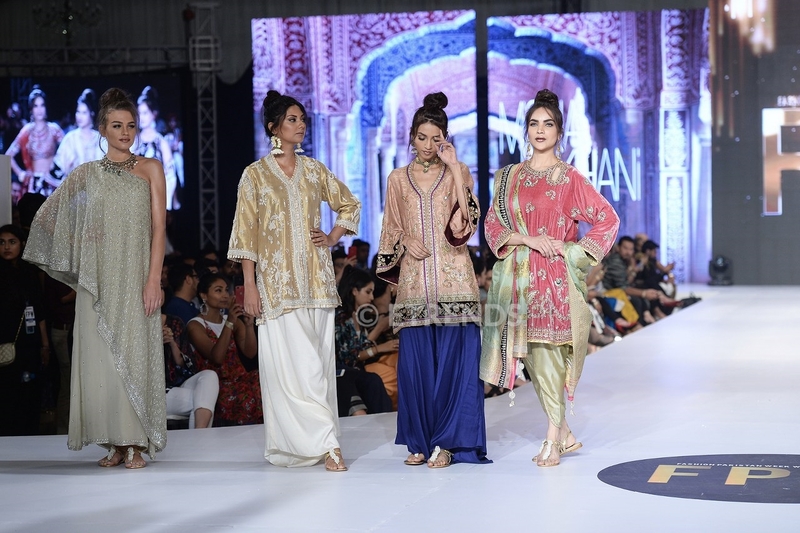 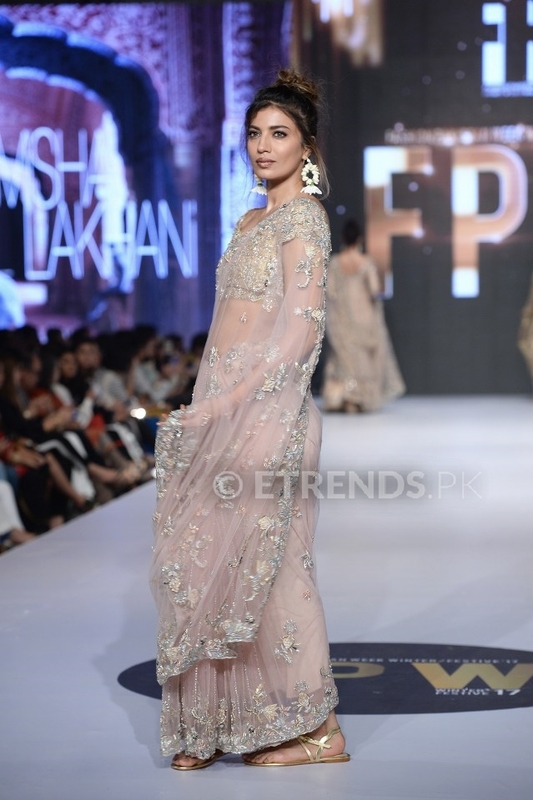 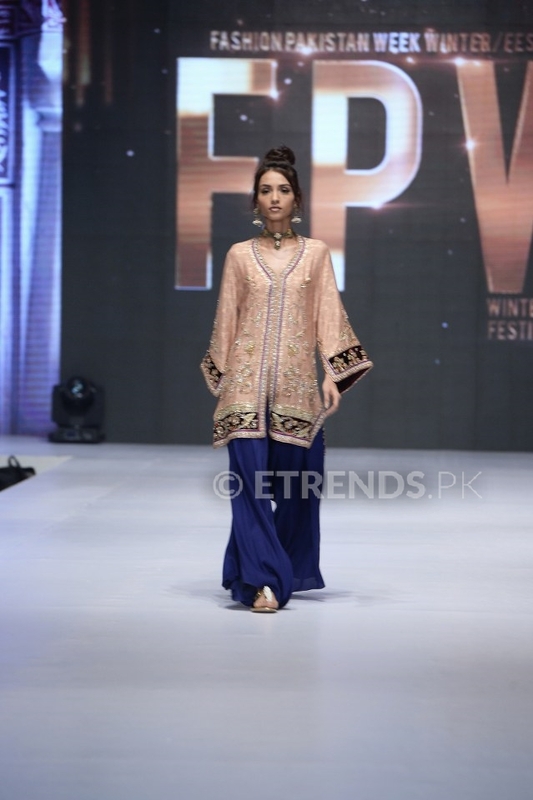 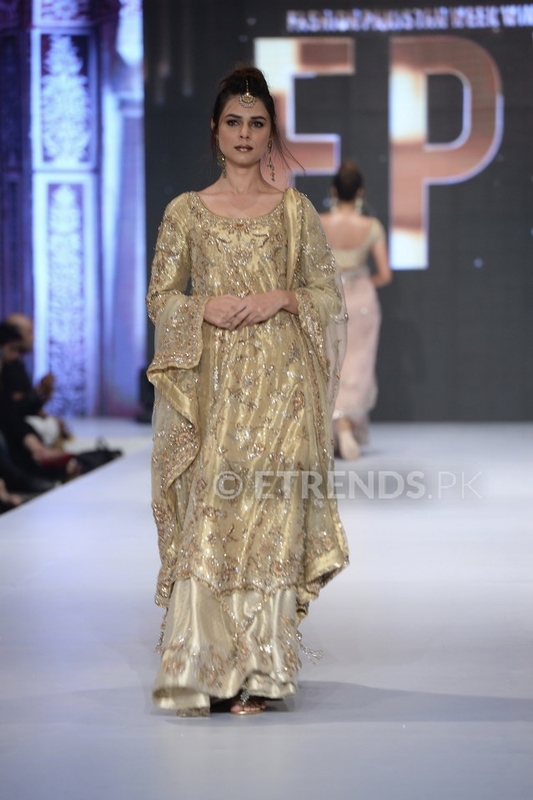 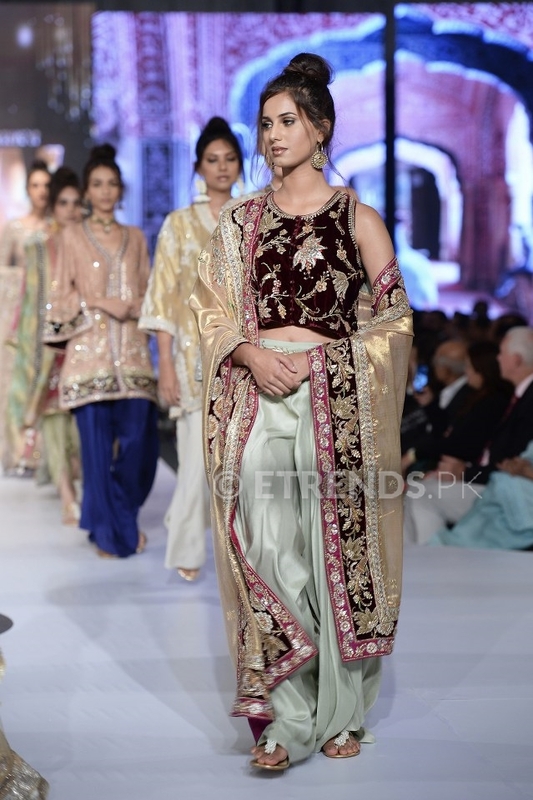 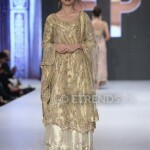 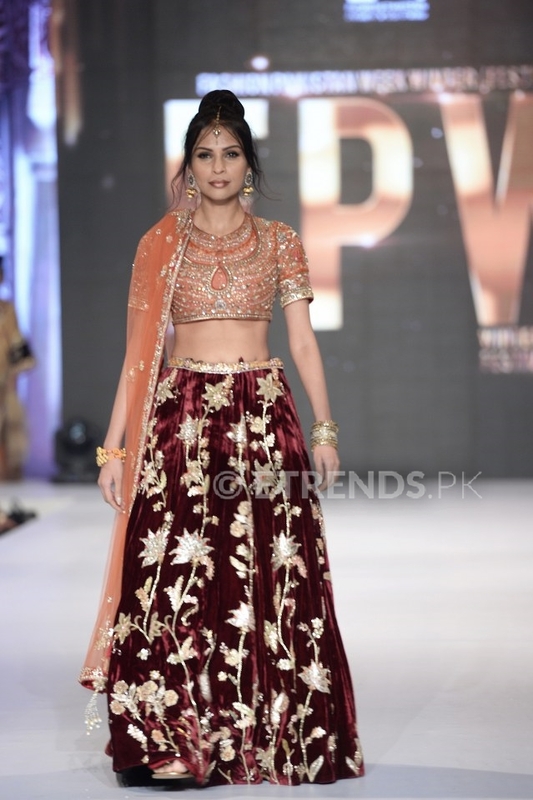 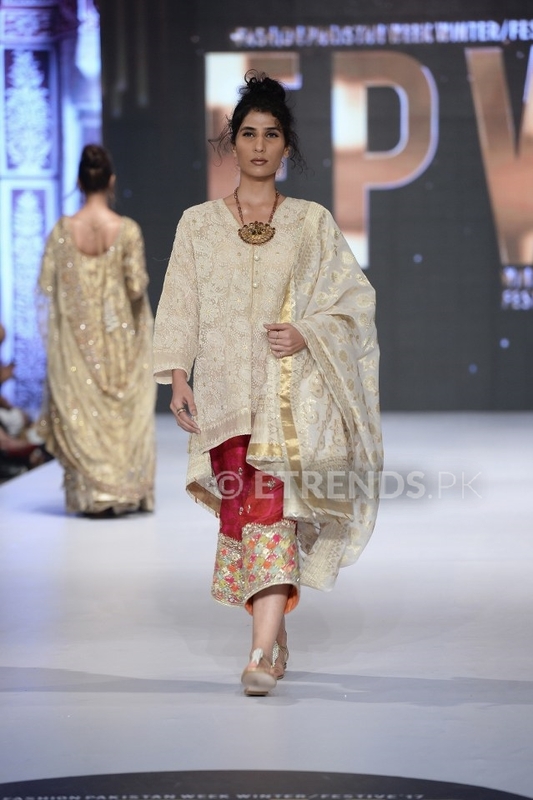 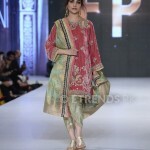 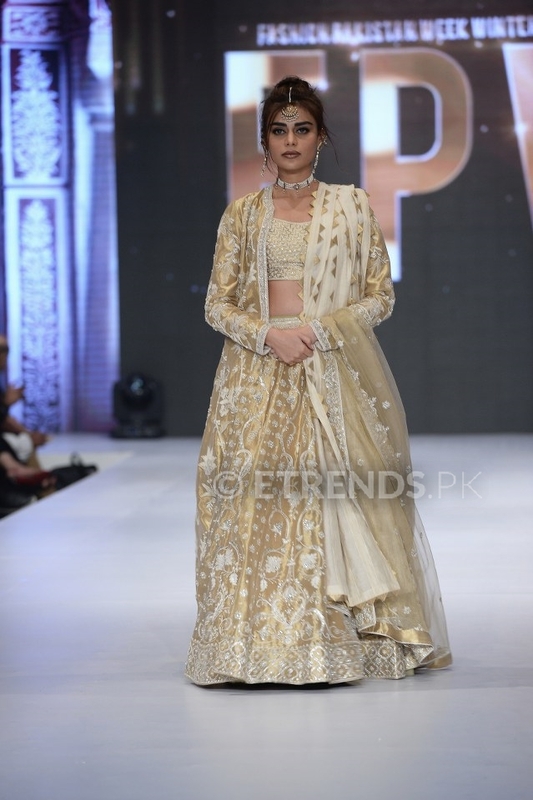 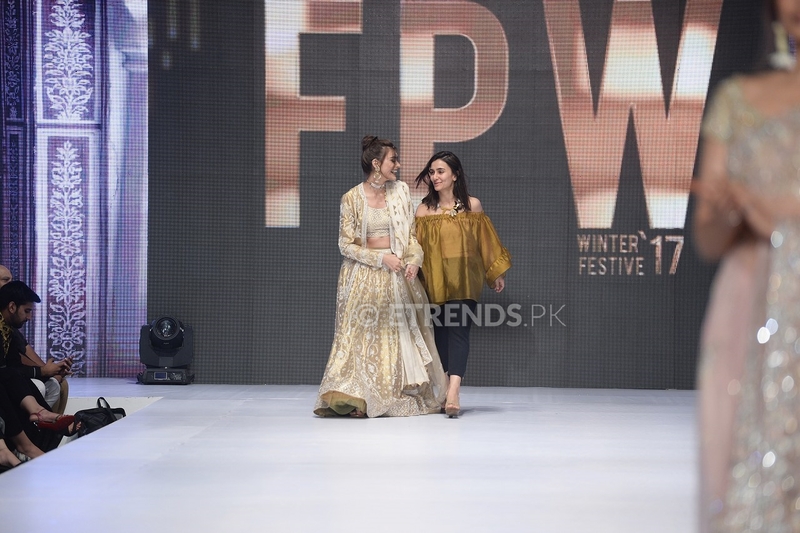 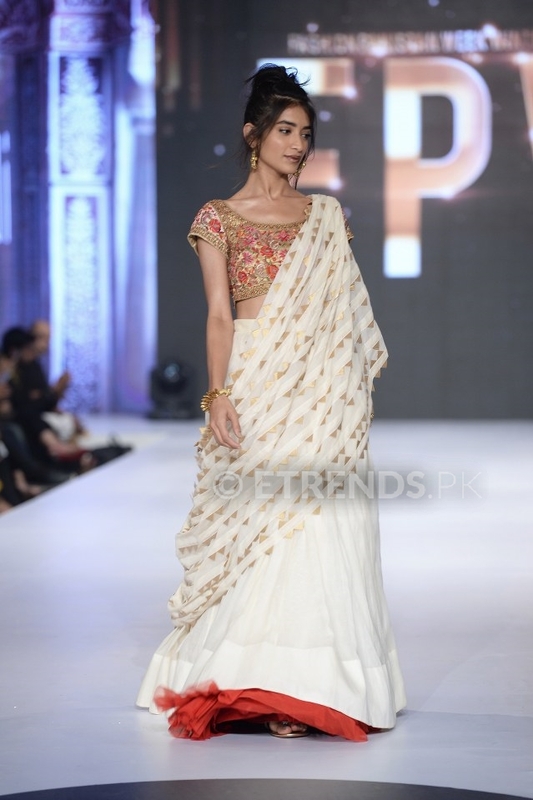 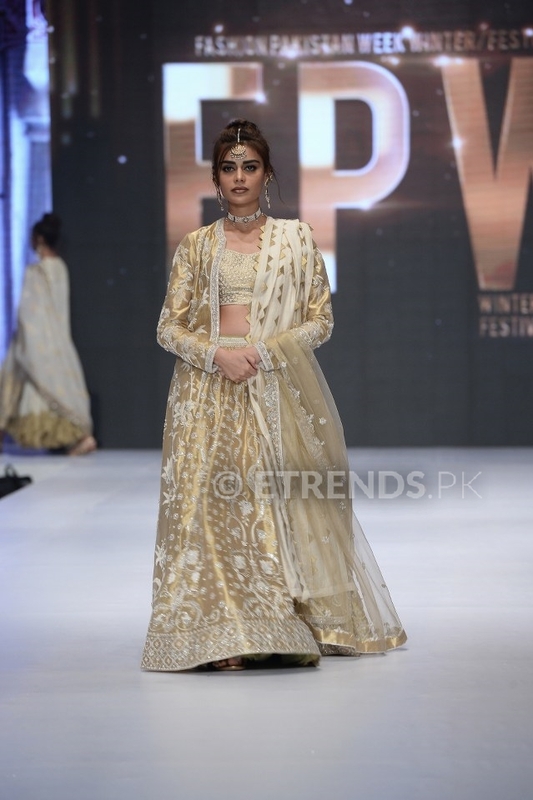 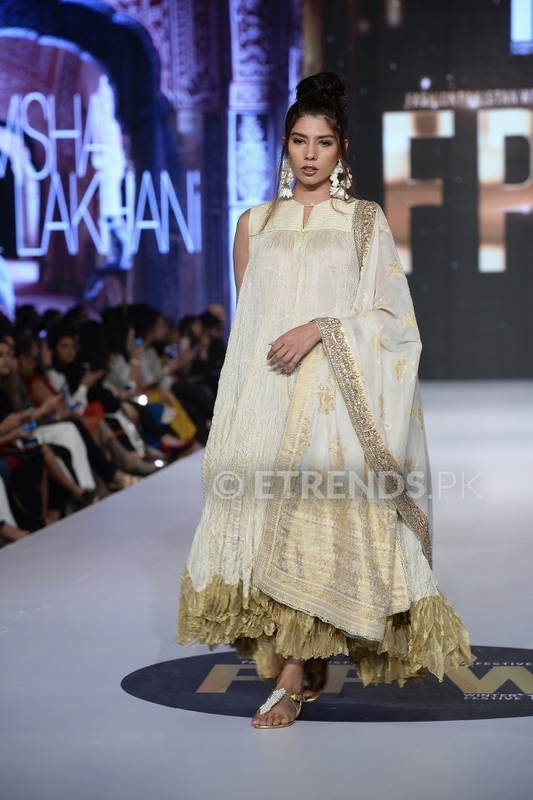 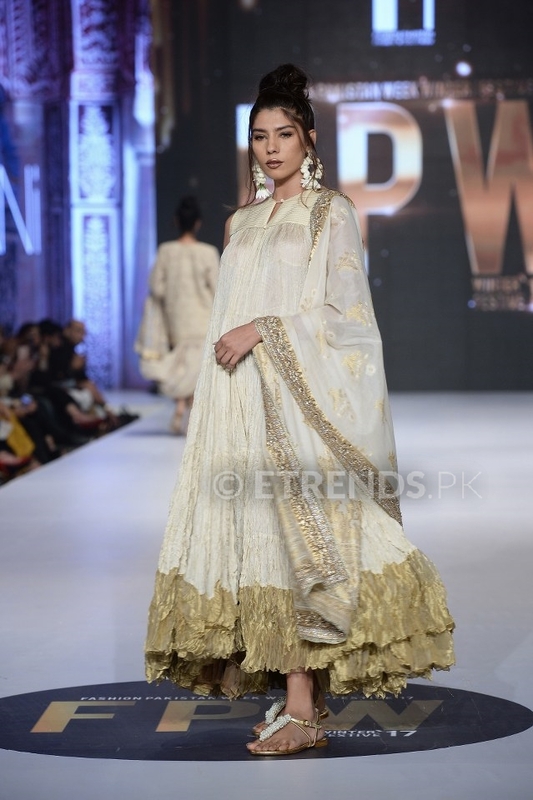 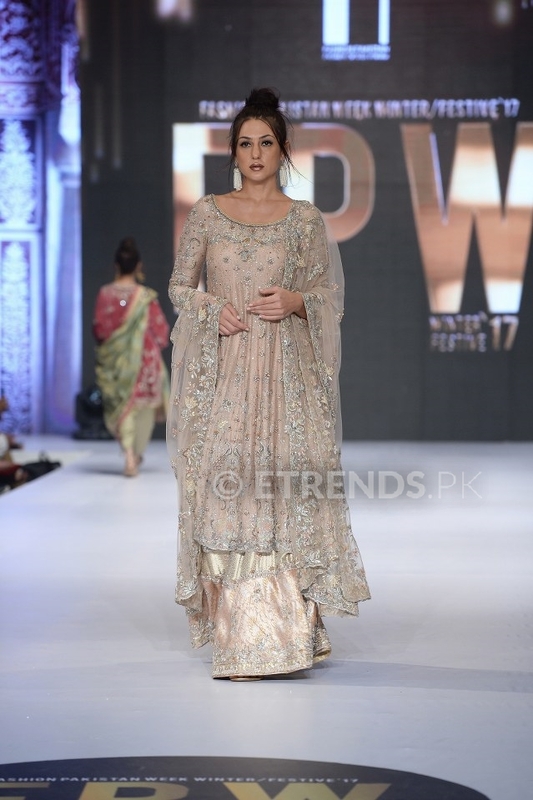 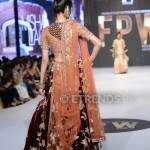 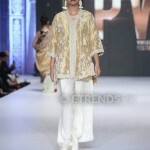 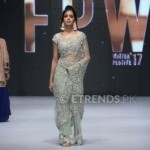 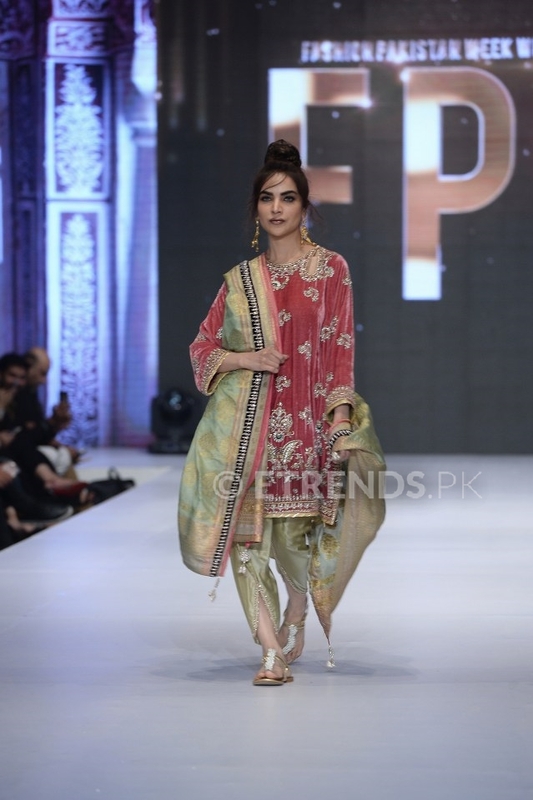 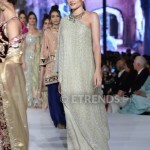 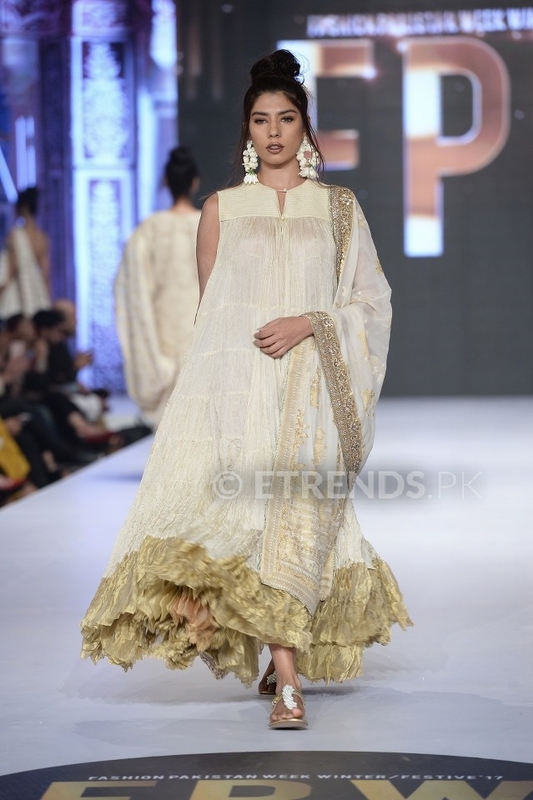 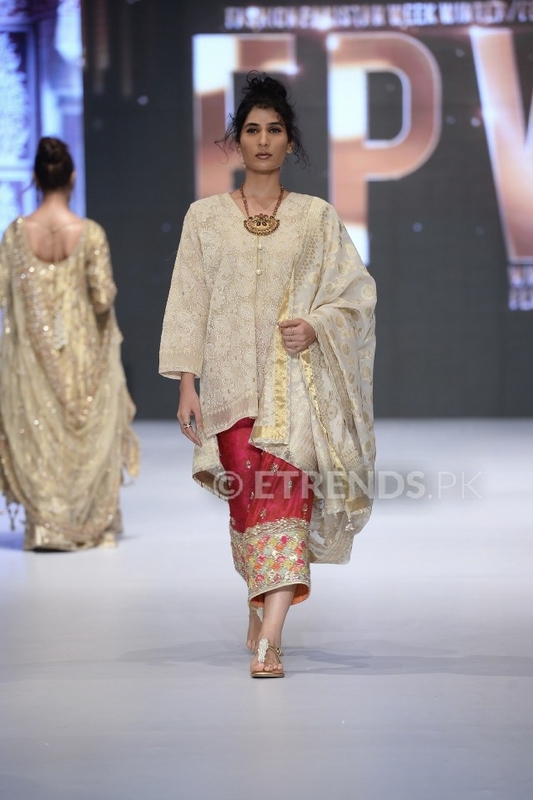 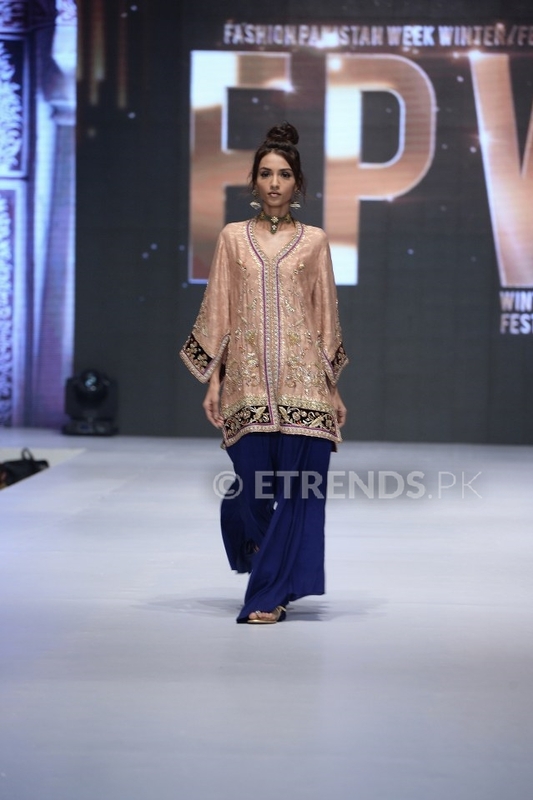 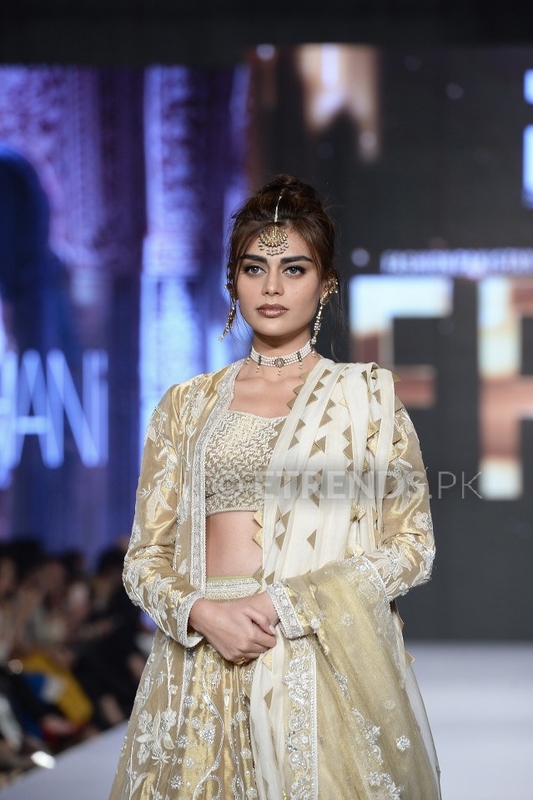 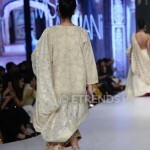 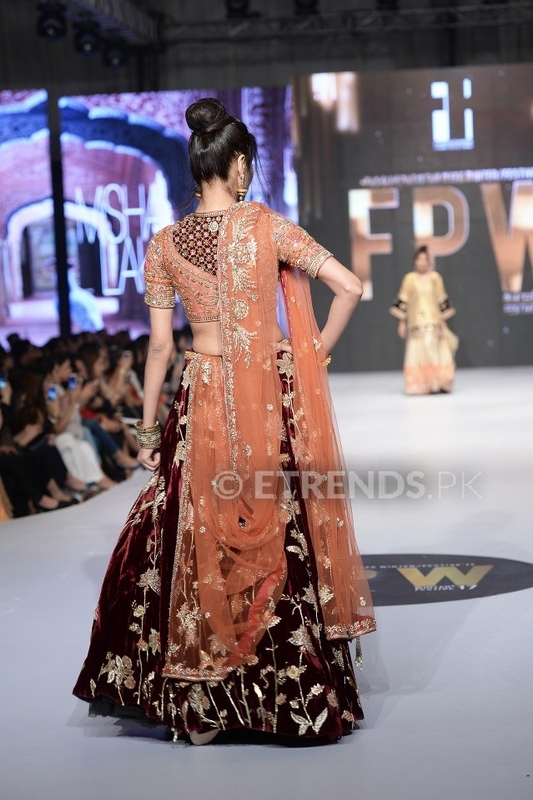 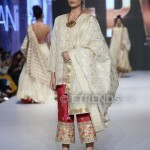 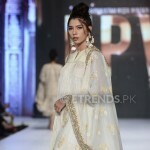 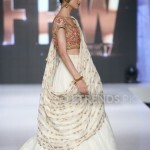 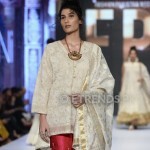 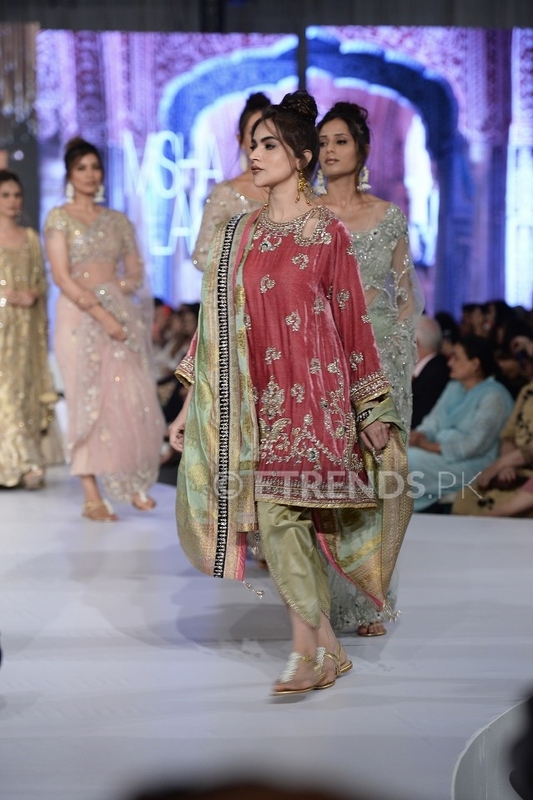 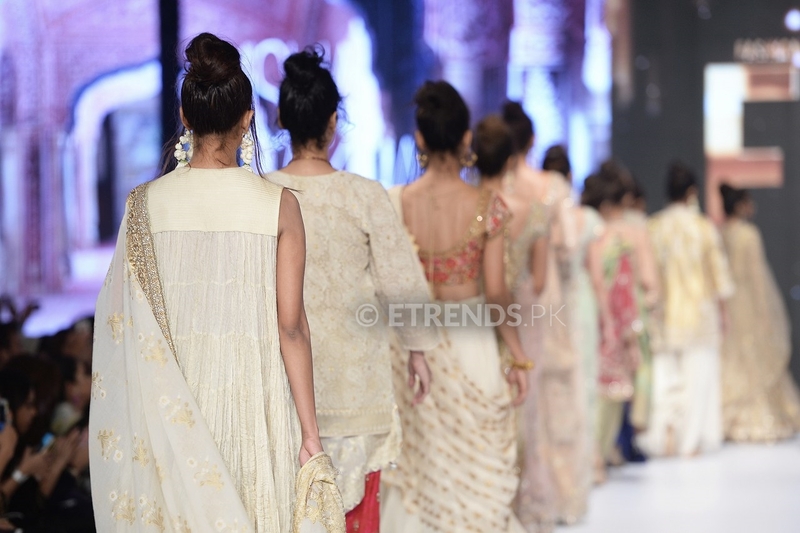 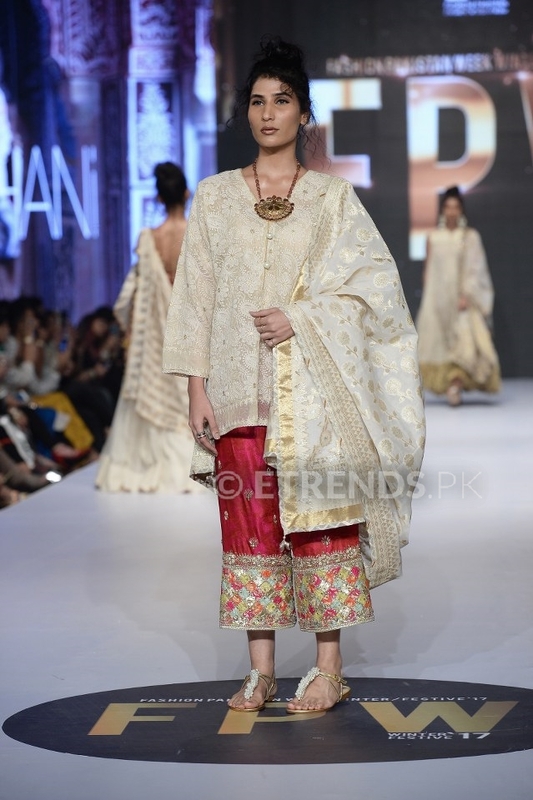 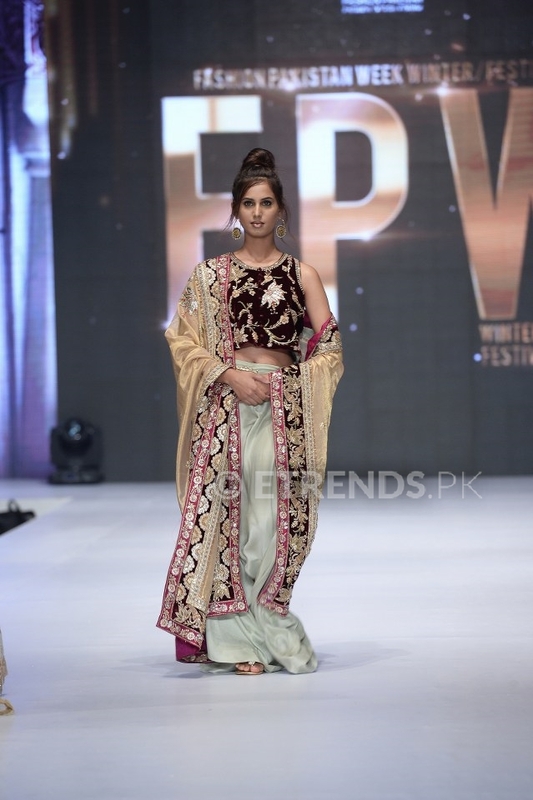 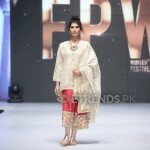 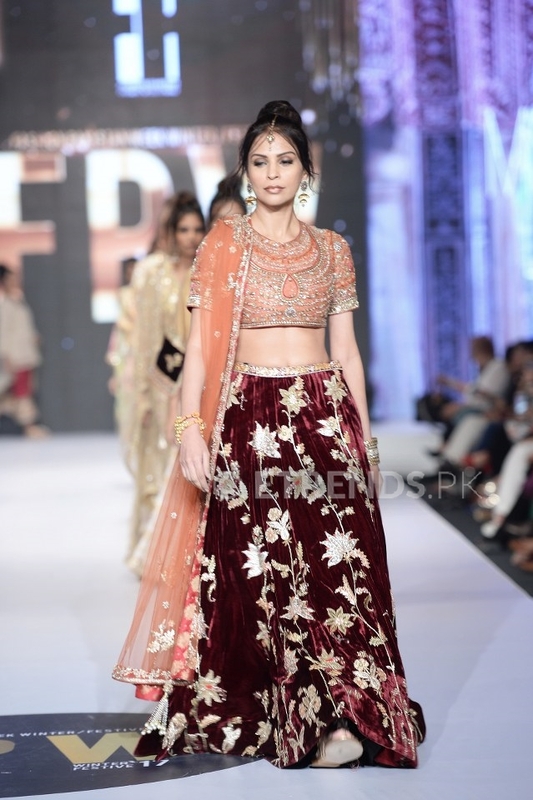 Misha Lakhani’s couture and ready-to-wear range consisted of finely embroidered ensembles that stunned the audience. 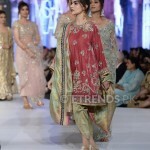 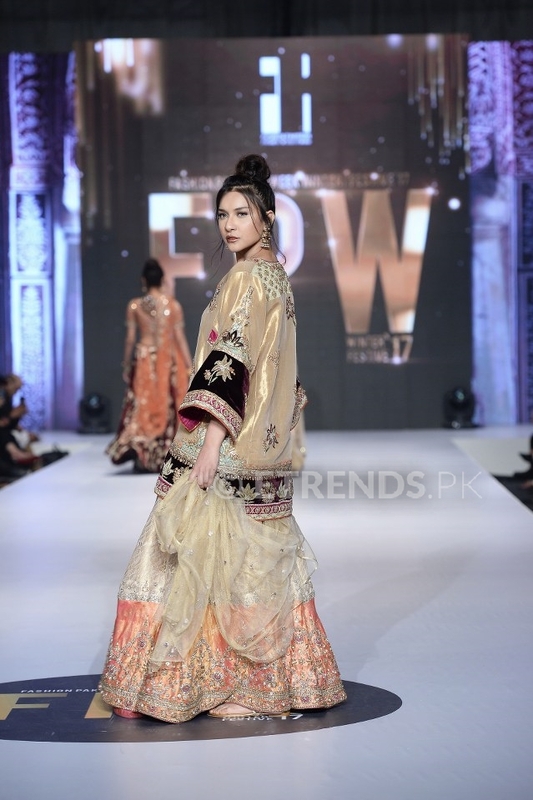 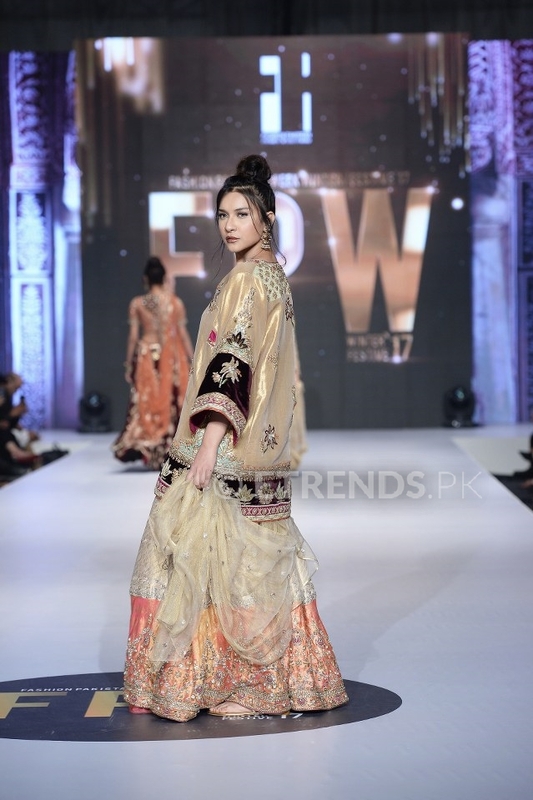 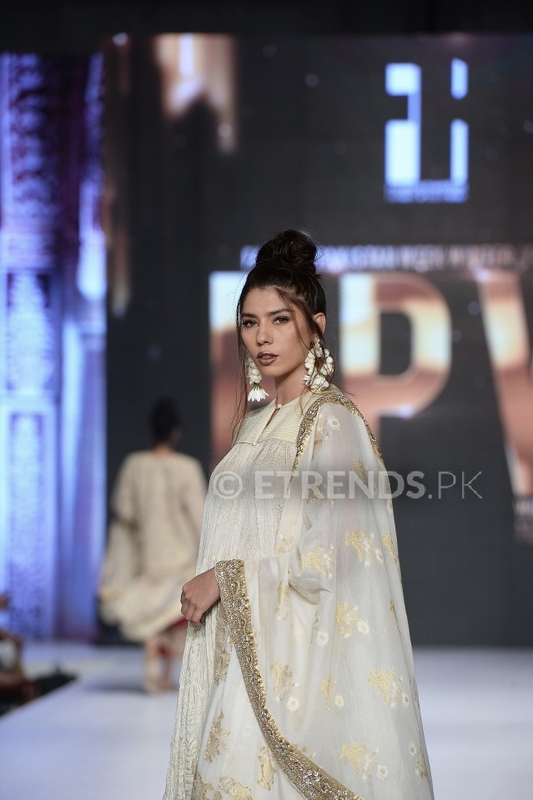 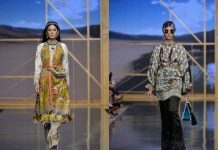 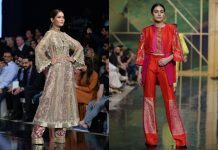 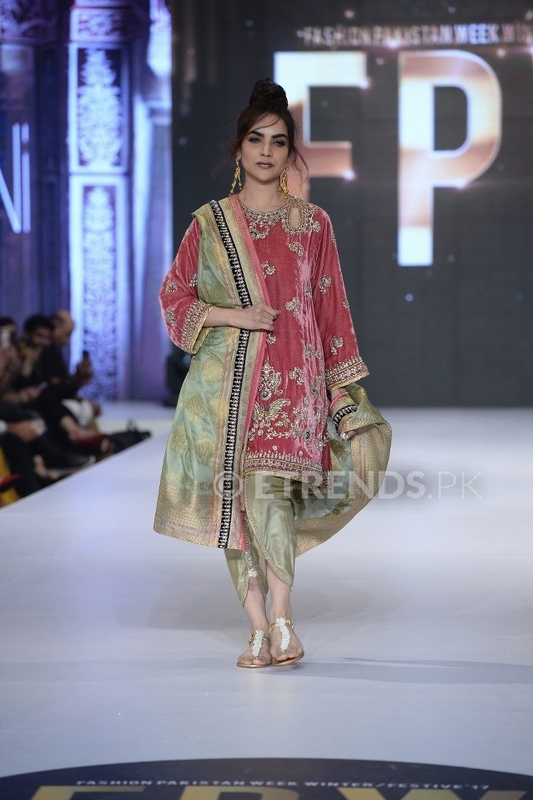 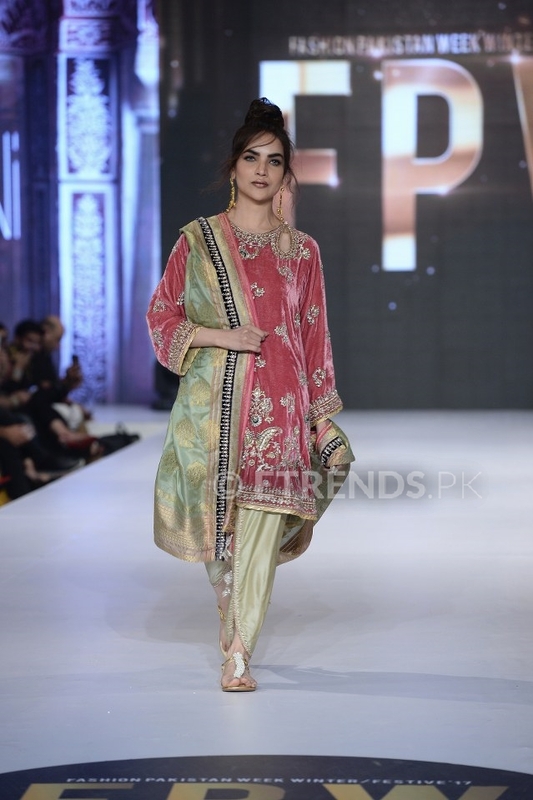 The collection was mainly inspired by Persian, Central Asian and Indian designs, created using hand-woven silks and intricate needle craft embroidery. 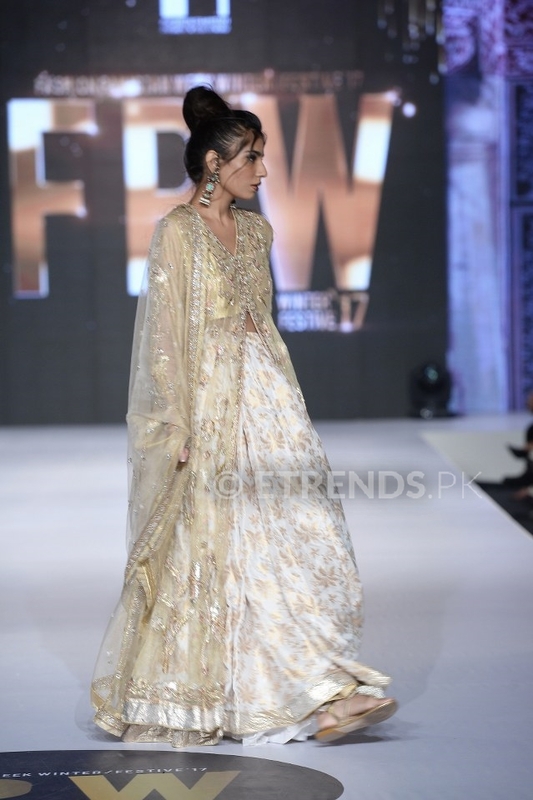 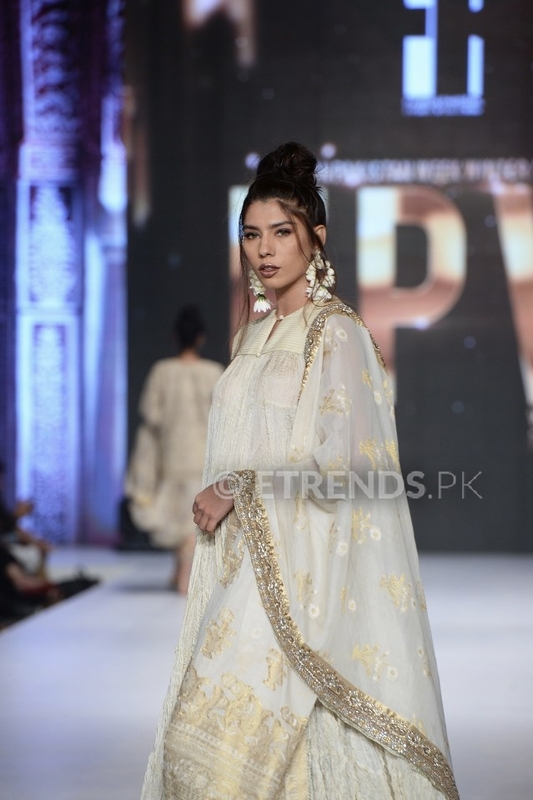 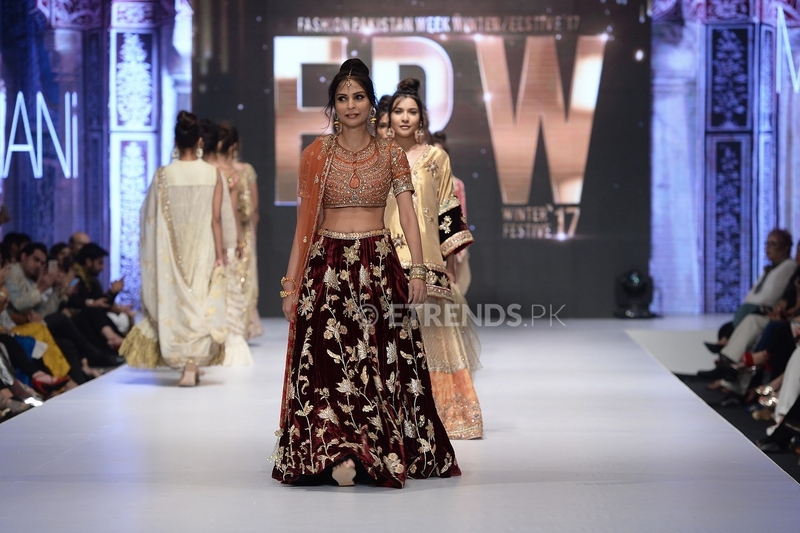 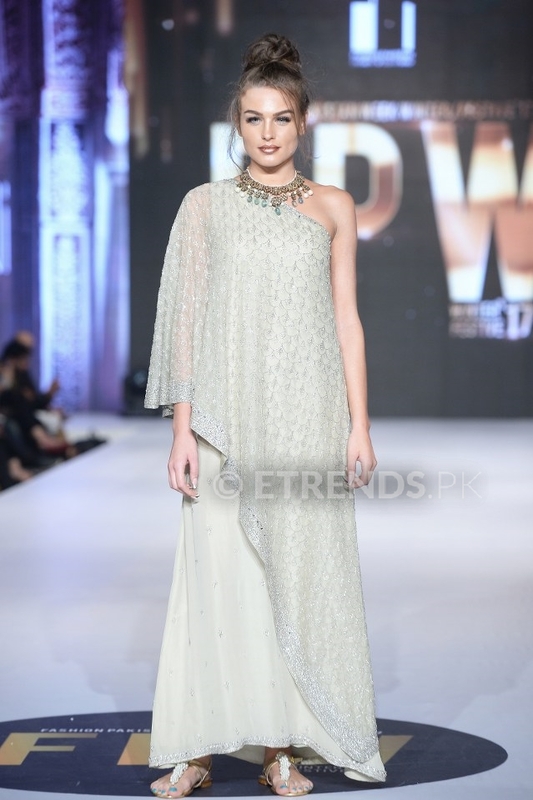 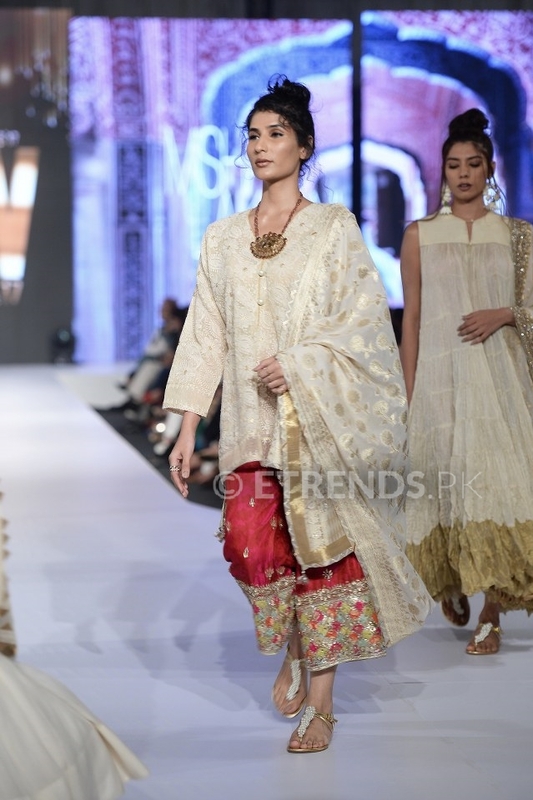 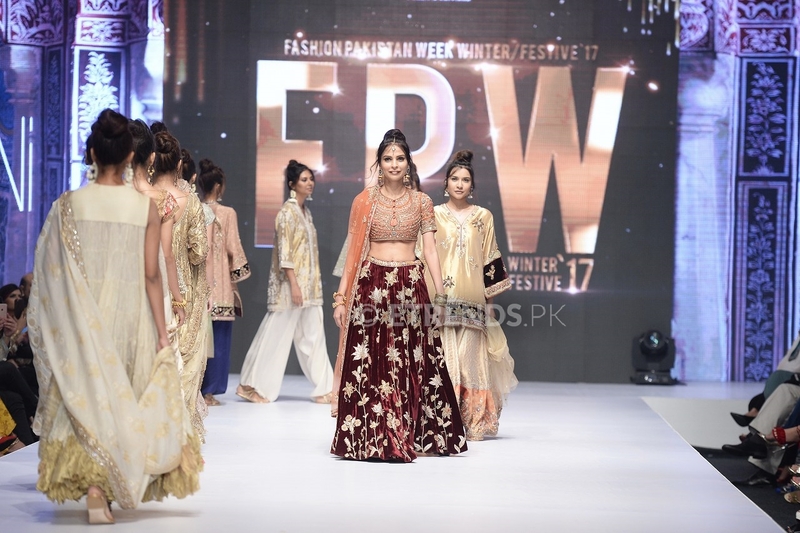 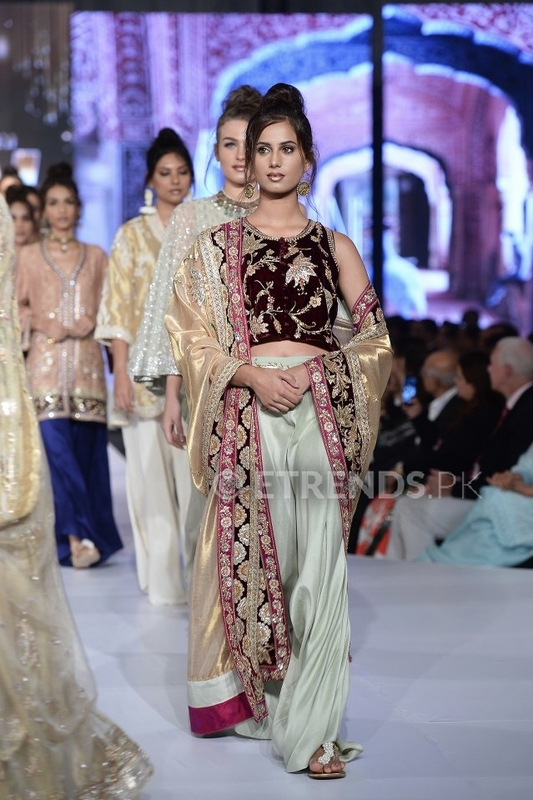 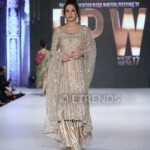 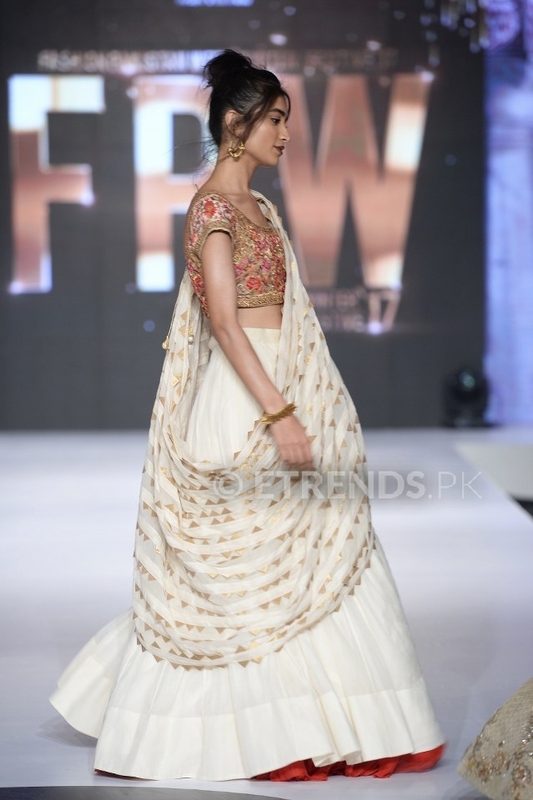 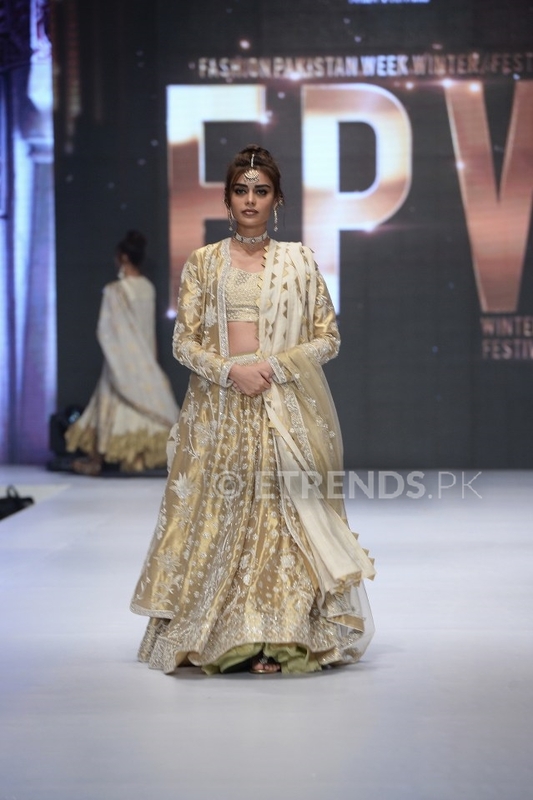 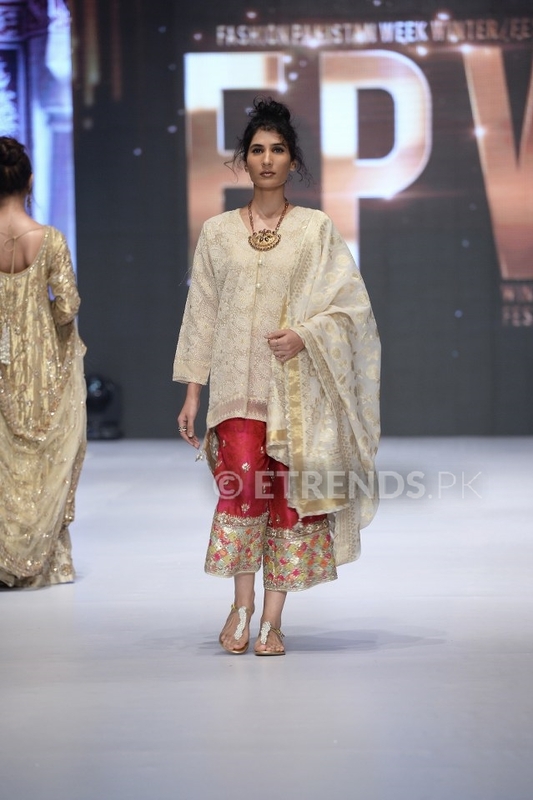 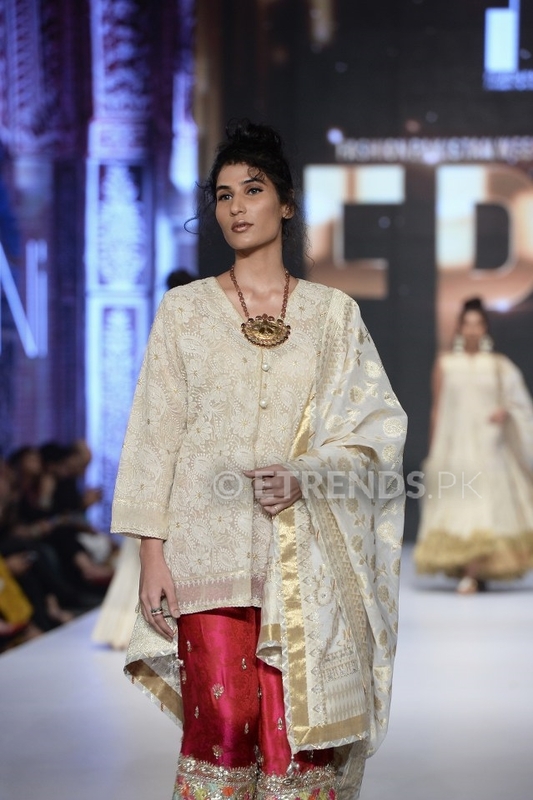 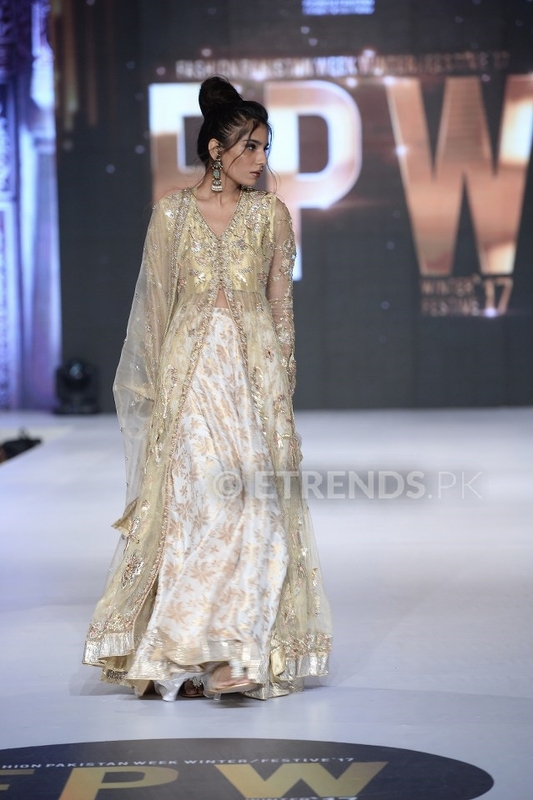 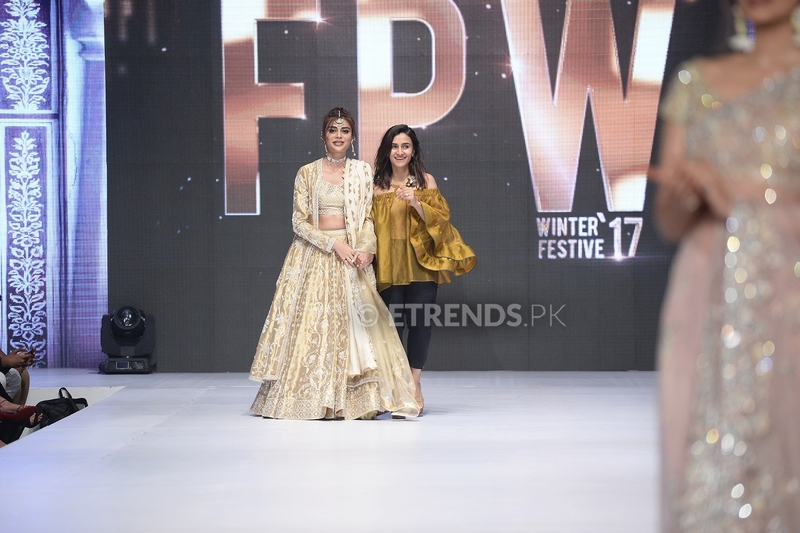 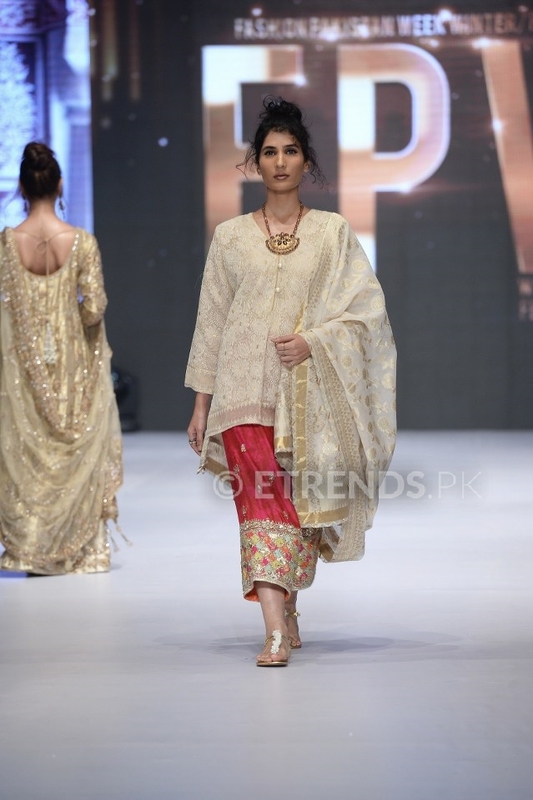 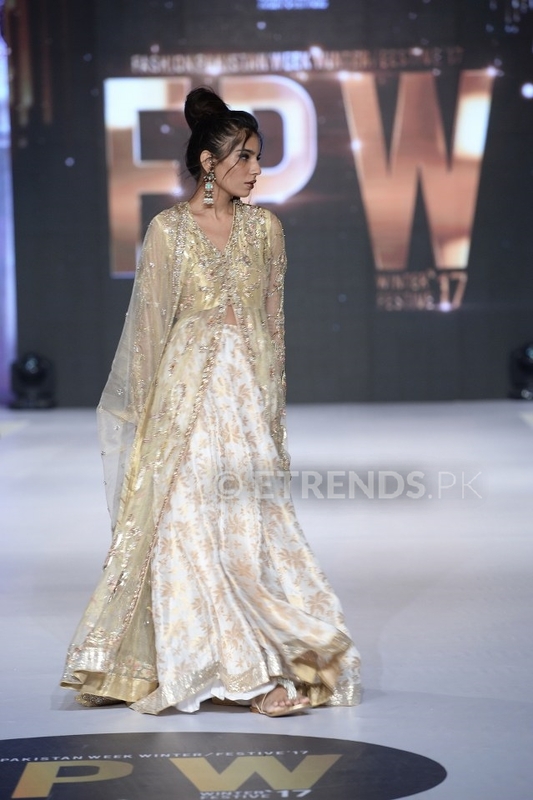 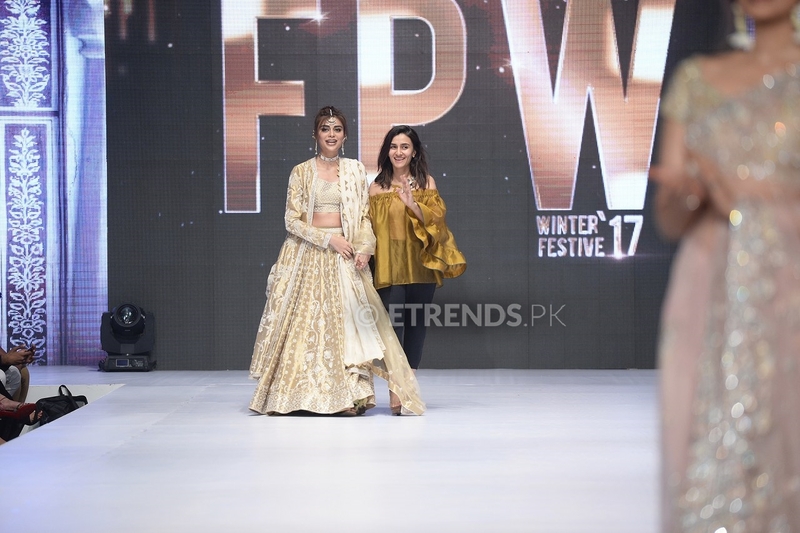 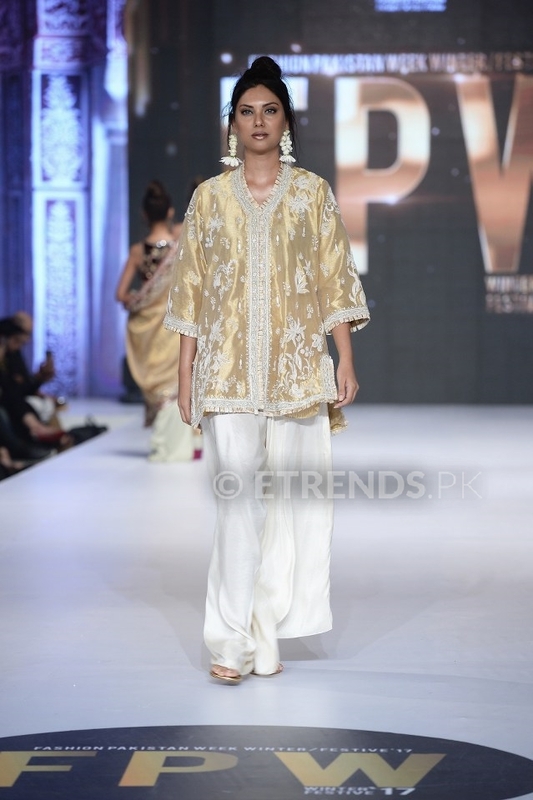 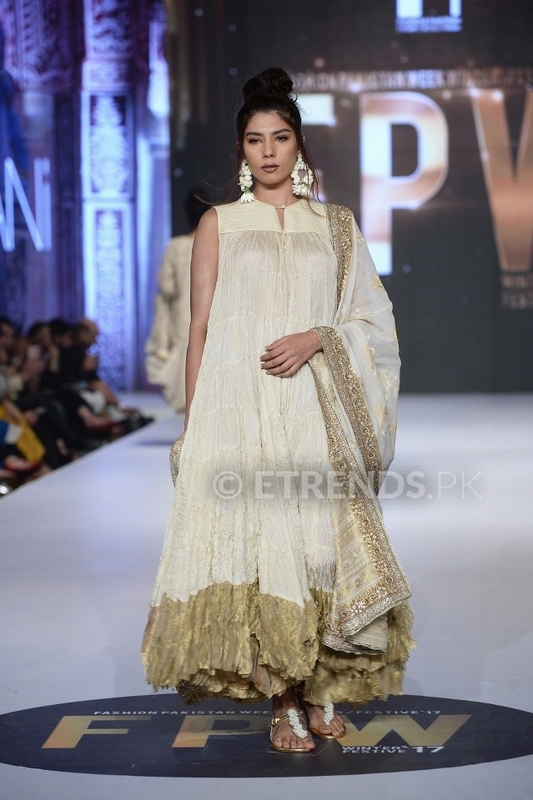 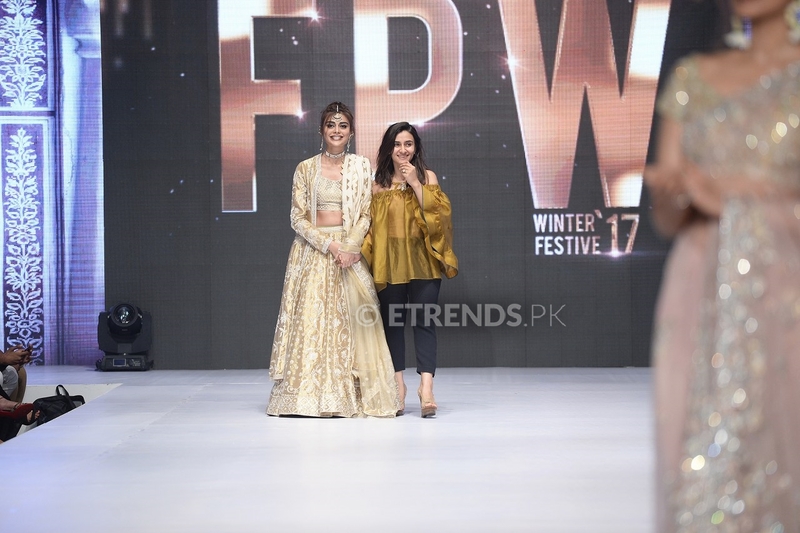 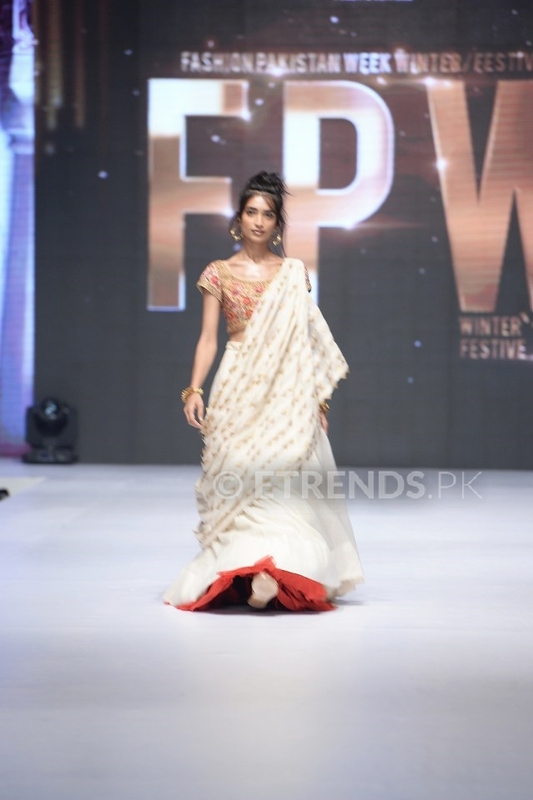 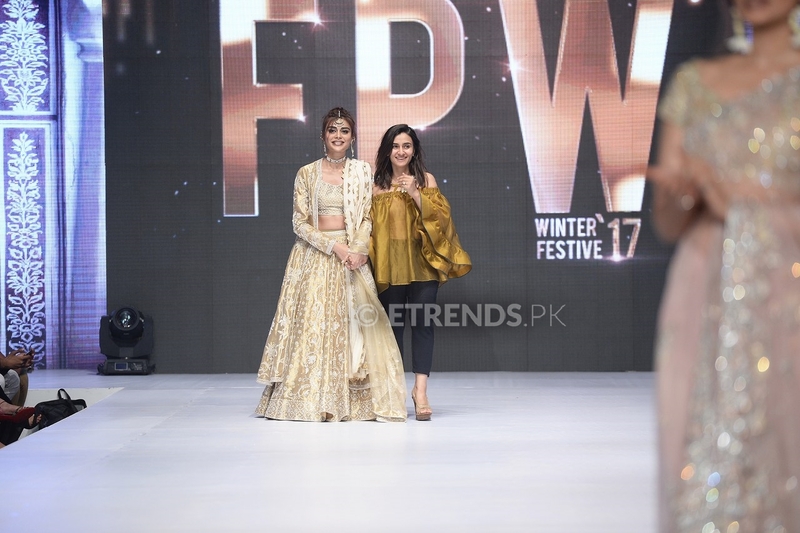 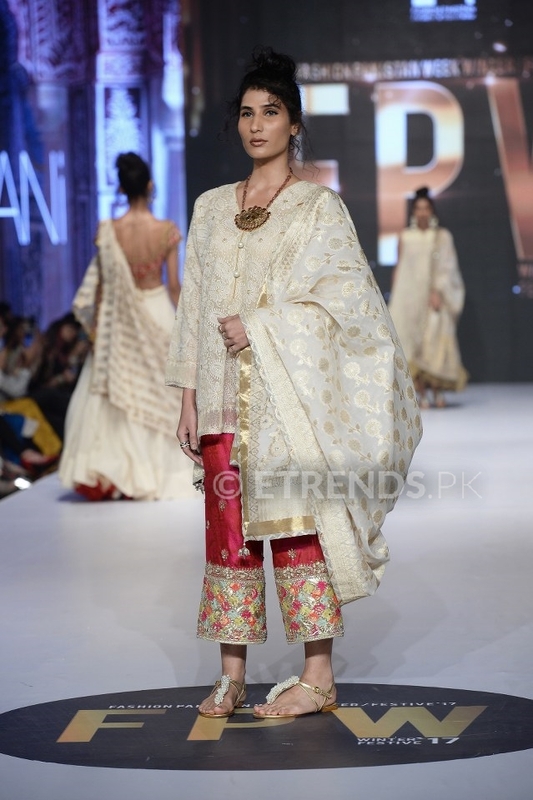 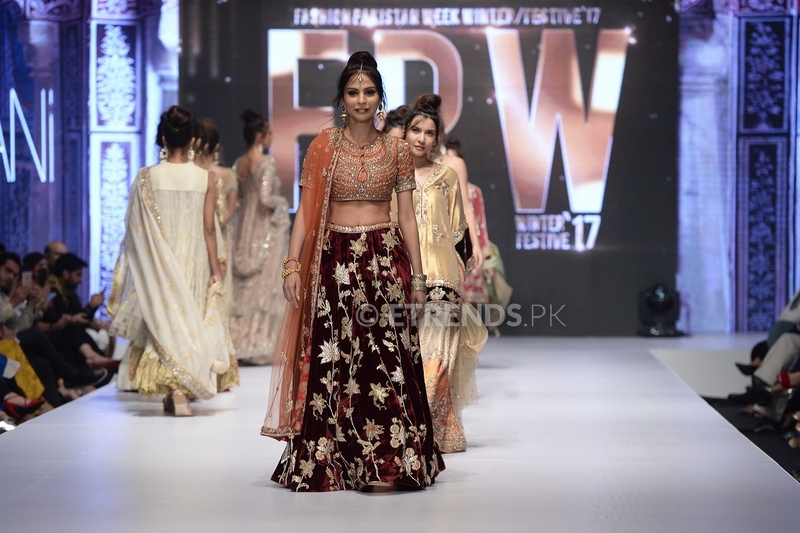 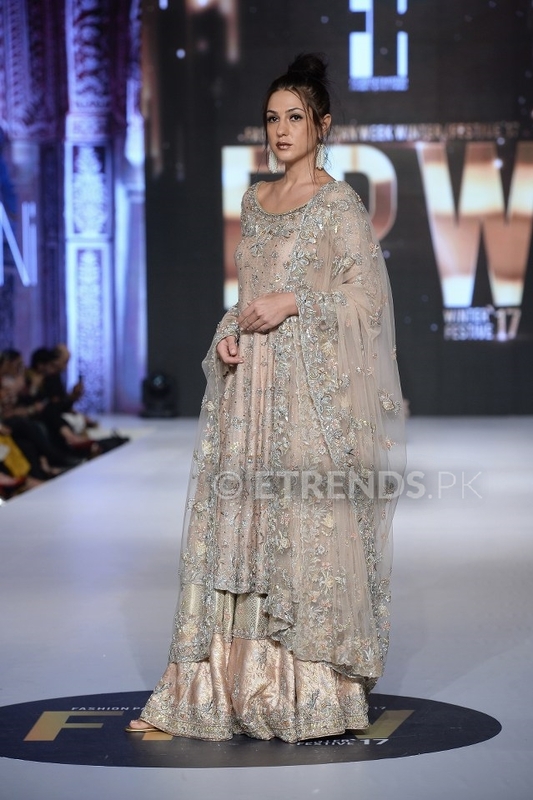 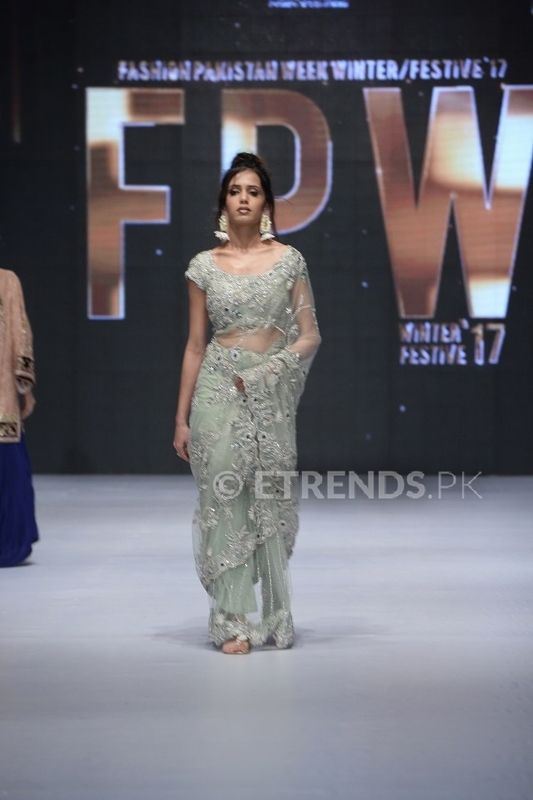 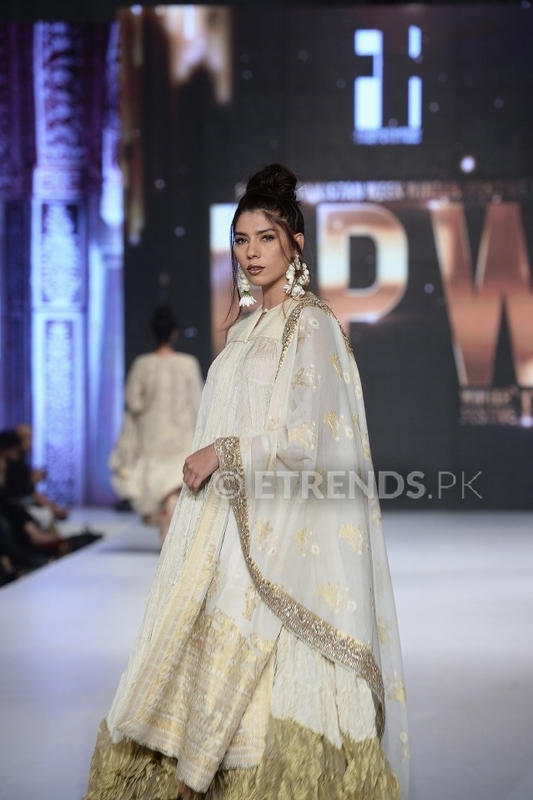 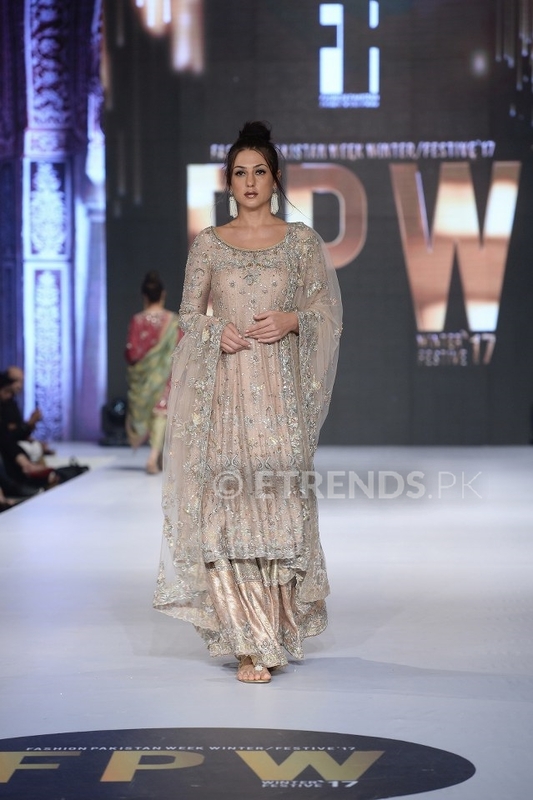 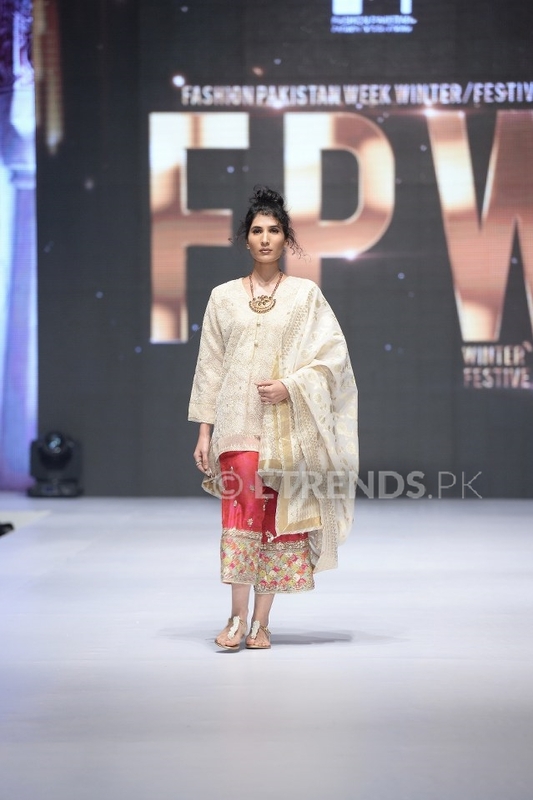 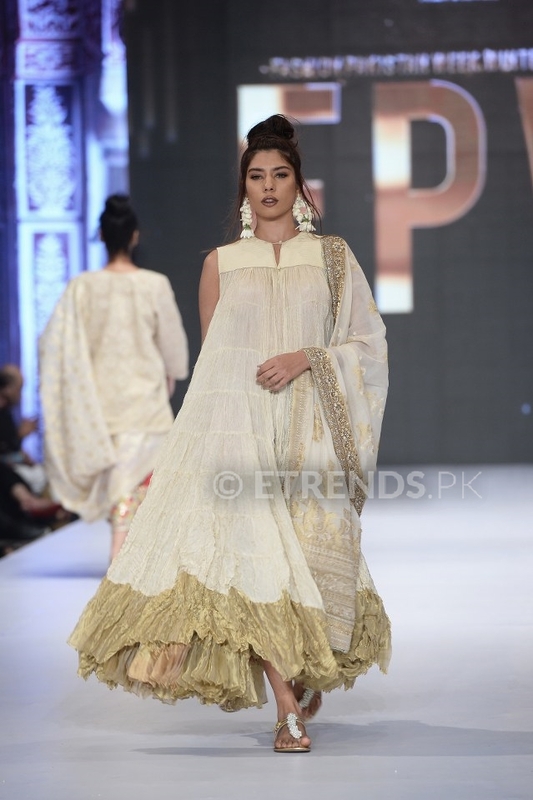 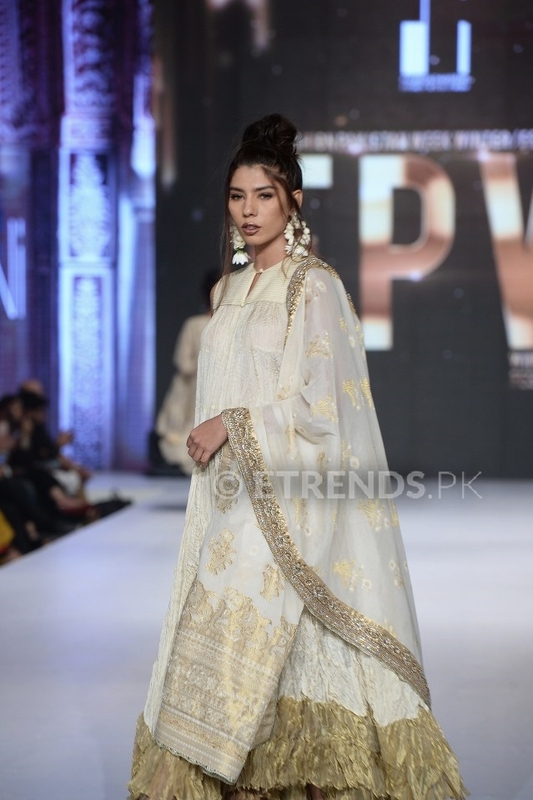 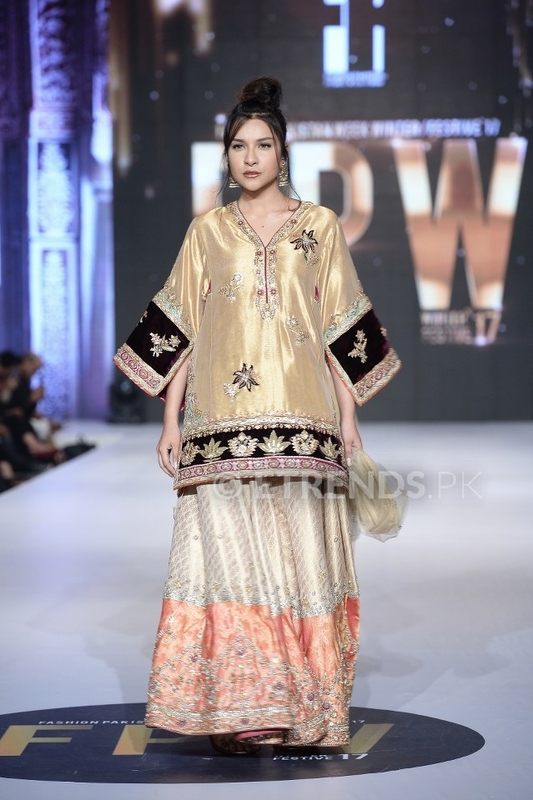 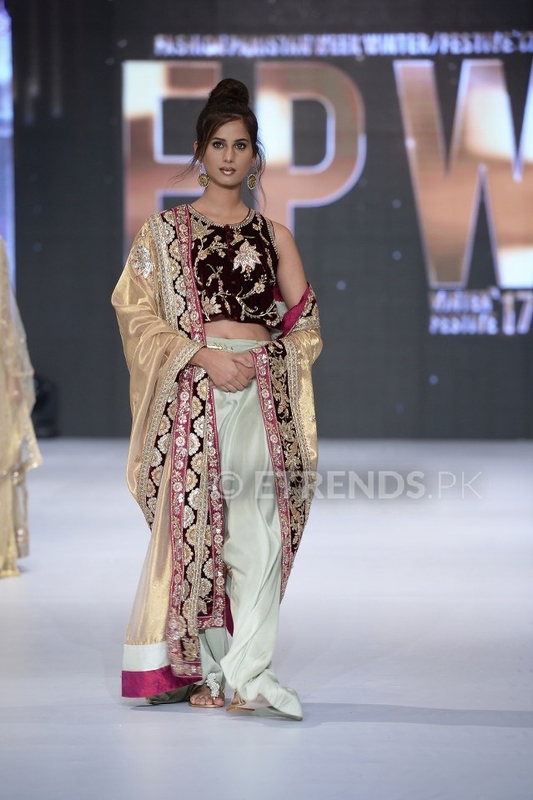 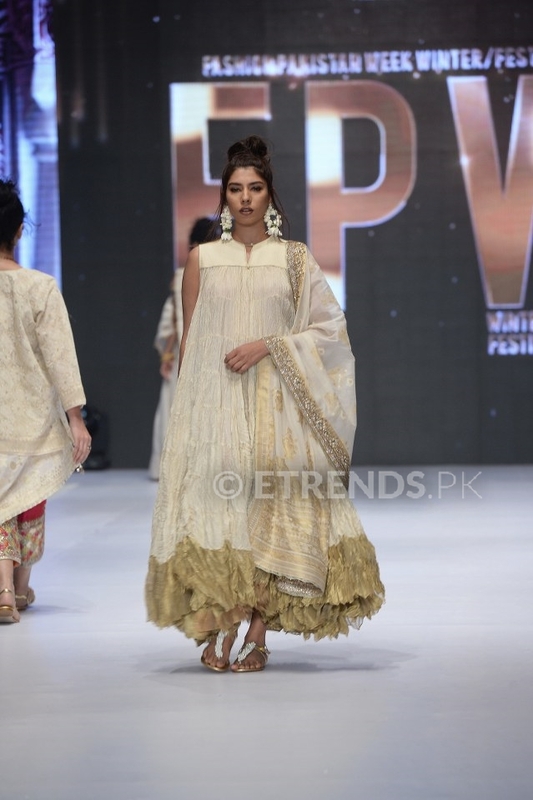 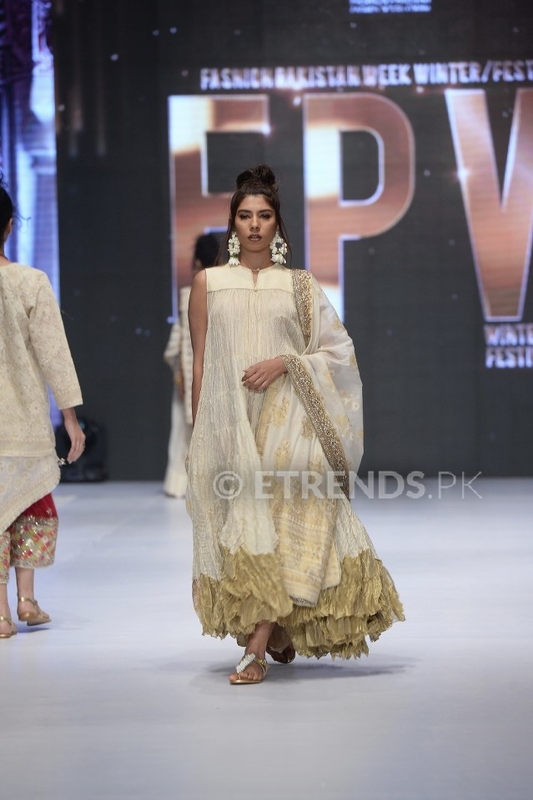 Using subtle floral work and a combination of colours varying from bold maroons to delicate whites, her collection did not fail to impress. 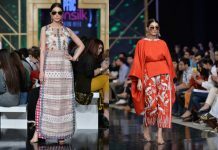 Chai Vs Cola – Pakistan Loves Tapal Chai Zaalima! 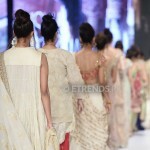 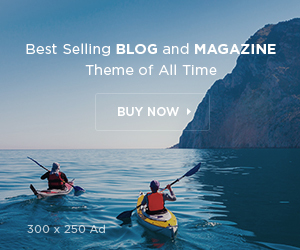 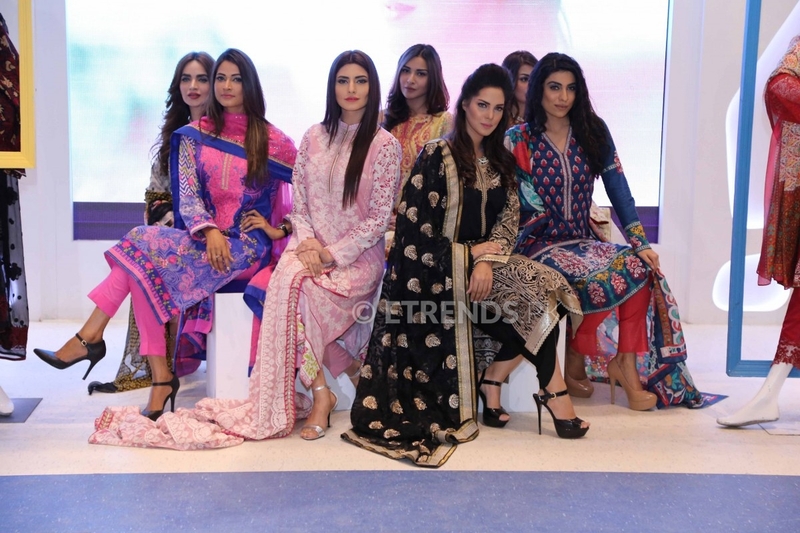 Etrends brings out your favorite content in the domain of Pakistani Film, Music, Drama, Fashion, Sports and Food etc. 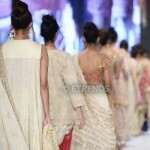 You can also contact us for business and promotion inquiries.